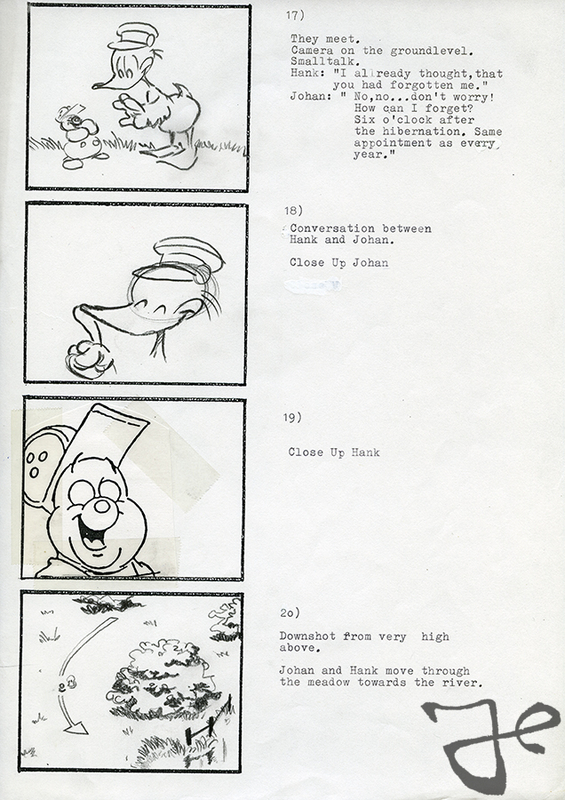 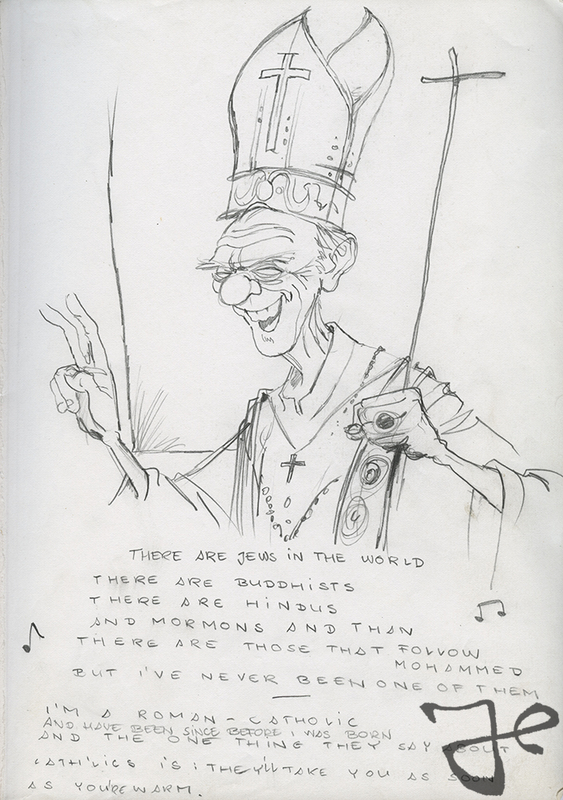 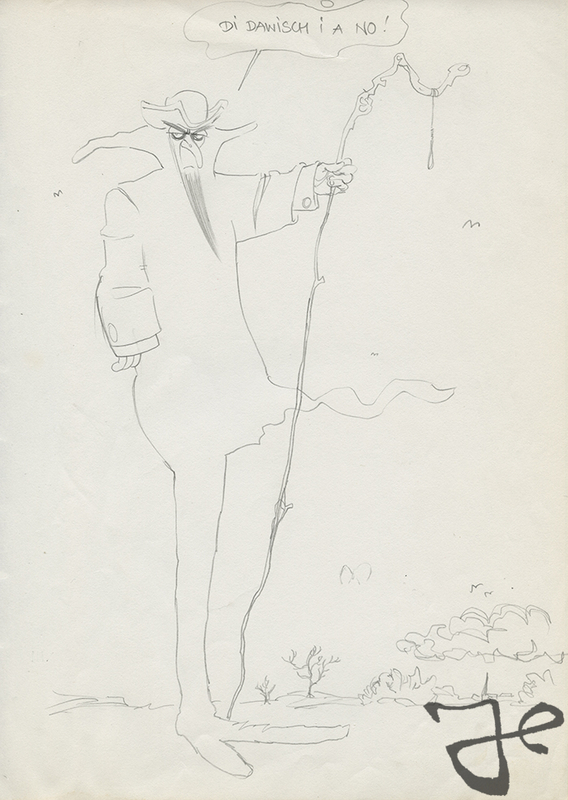 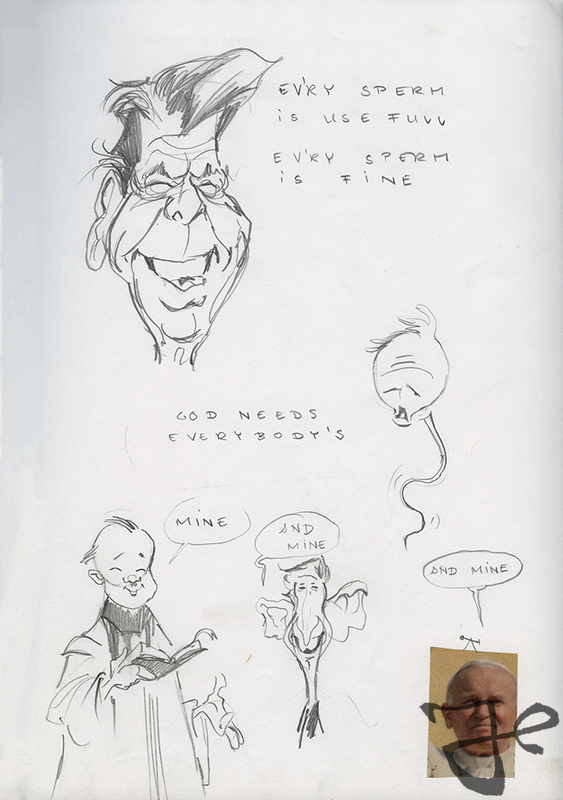 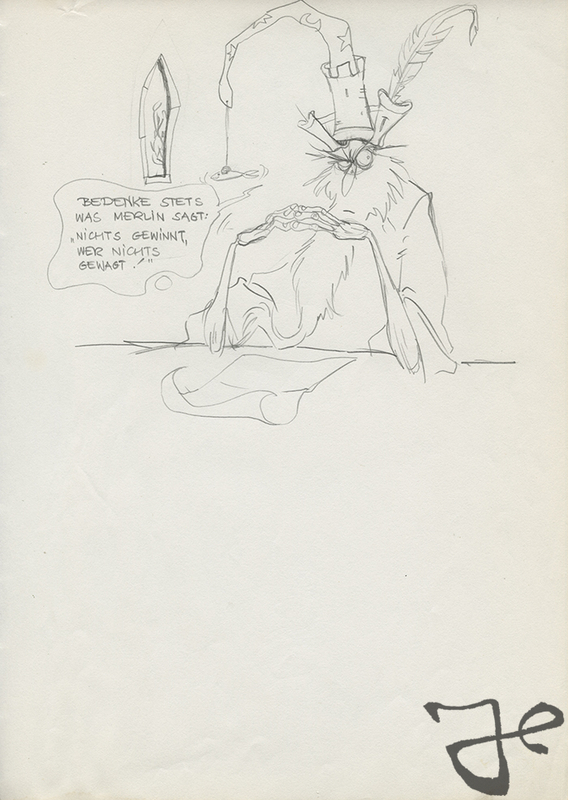 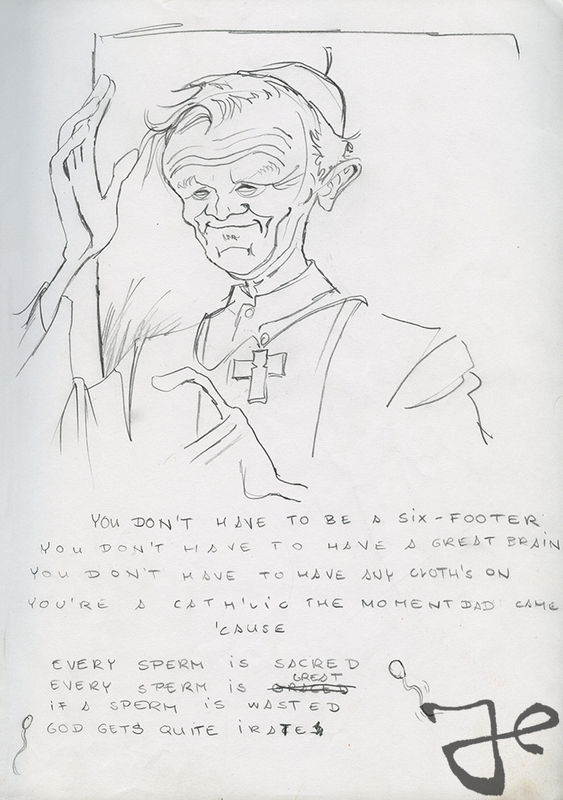 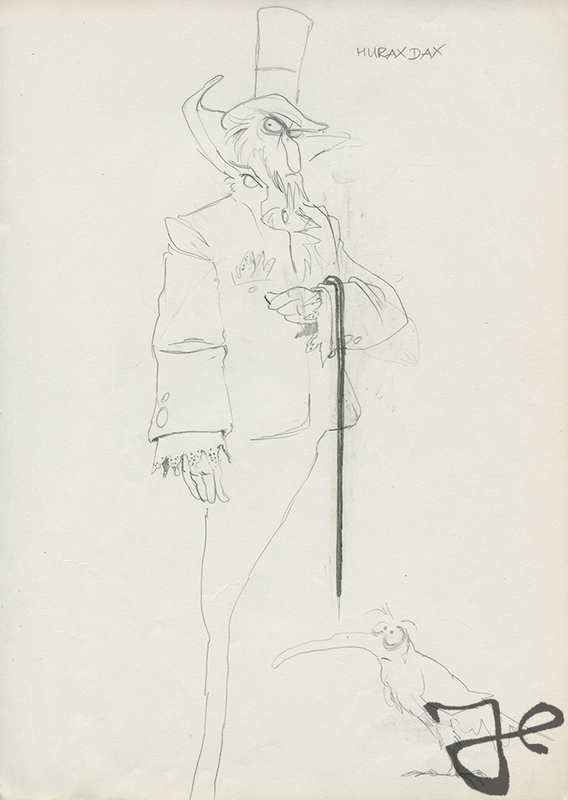 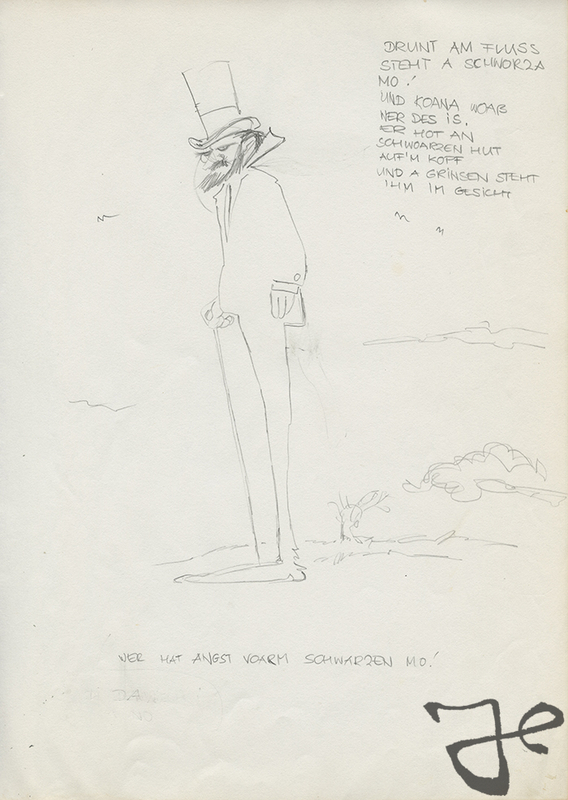 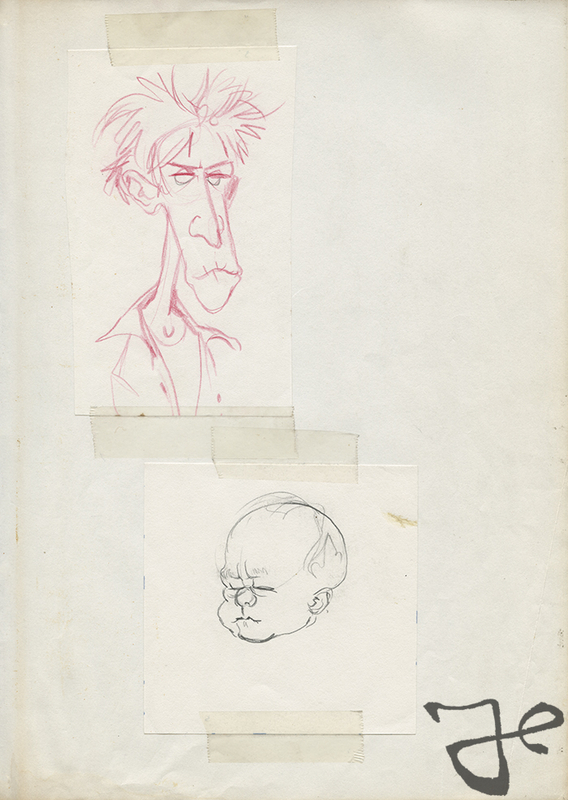 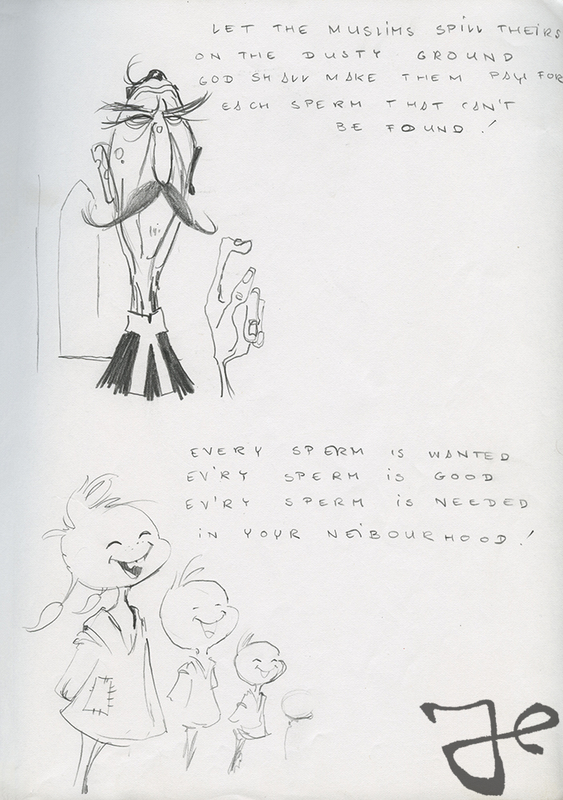 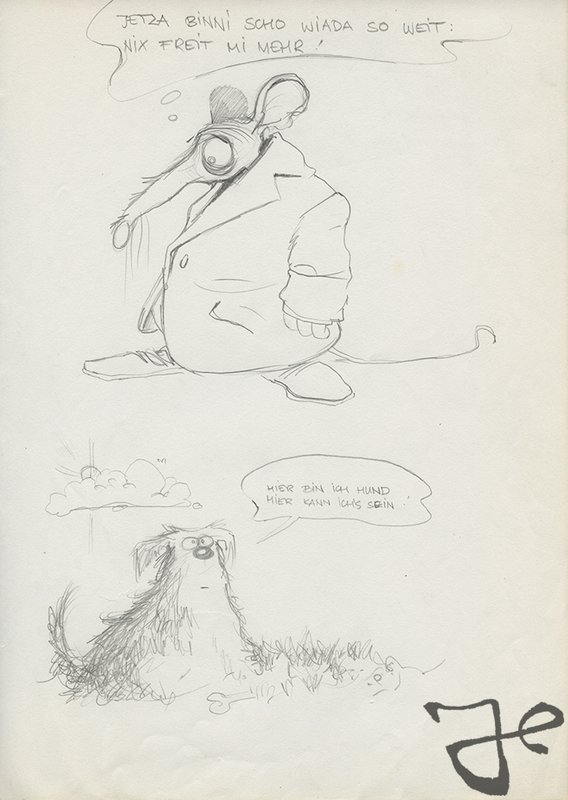 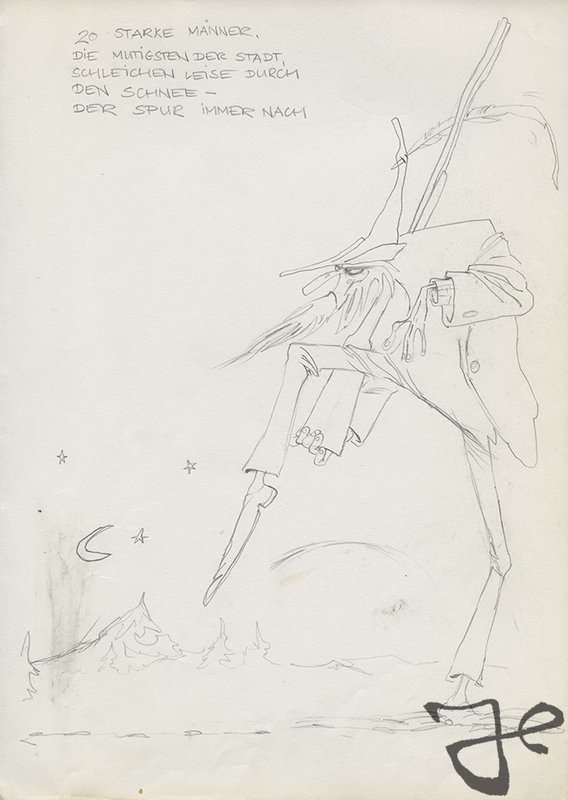 Below are several sketches from one of Harald Siepermann’s sketchbook from 1985, based on the song Every Sperm is Sacred from Monty Python’s The Meaning of Life. 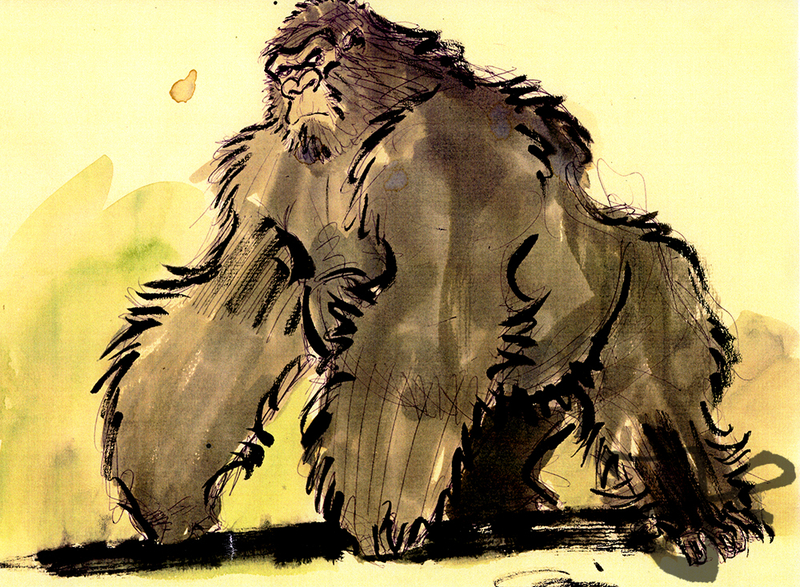 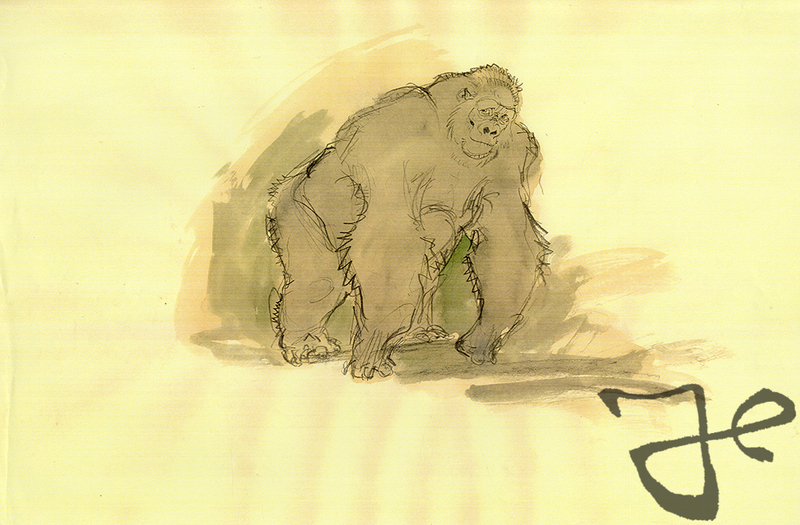 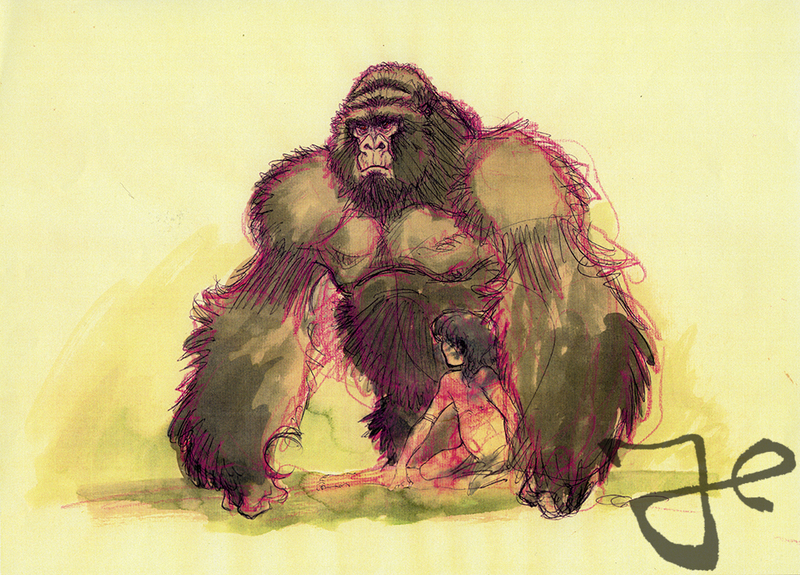 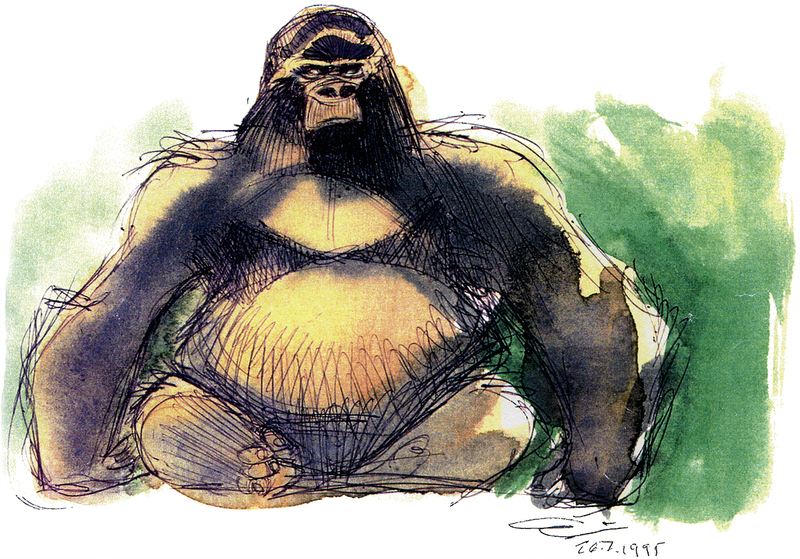 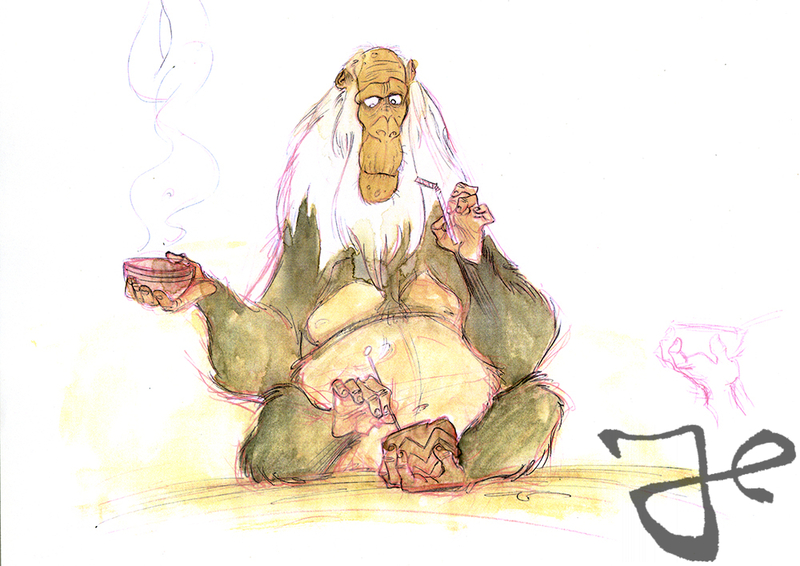 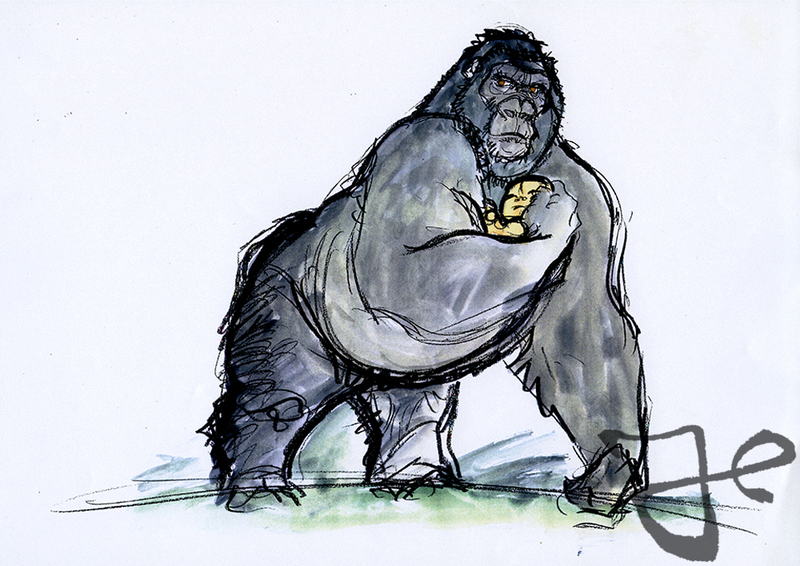 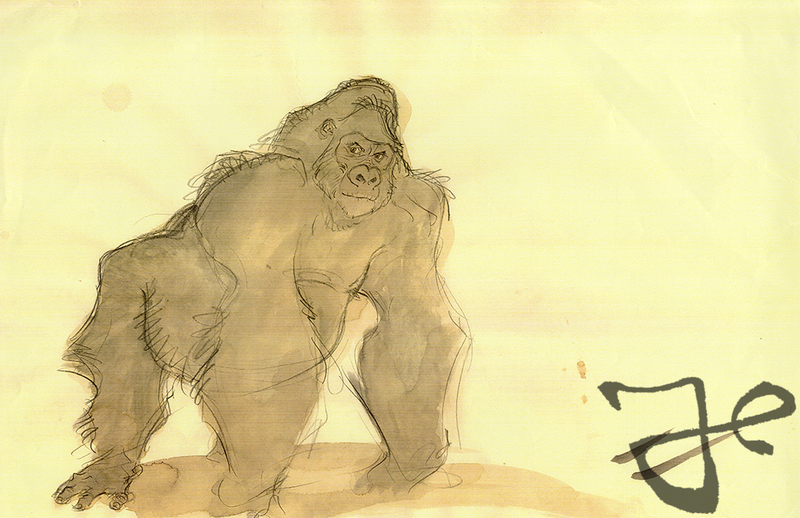 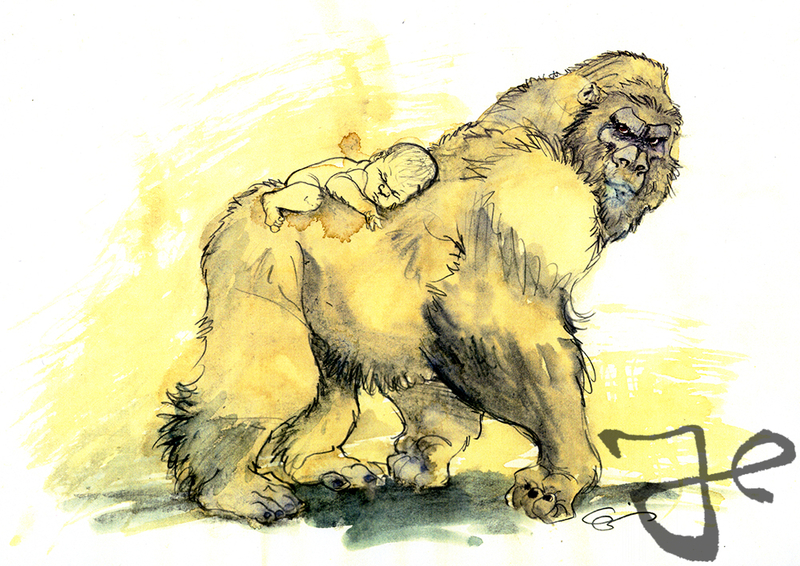 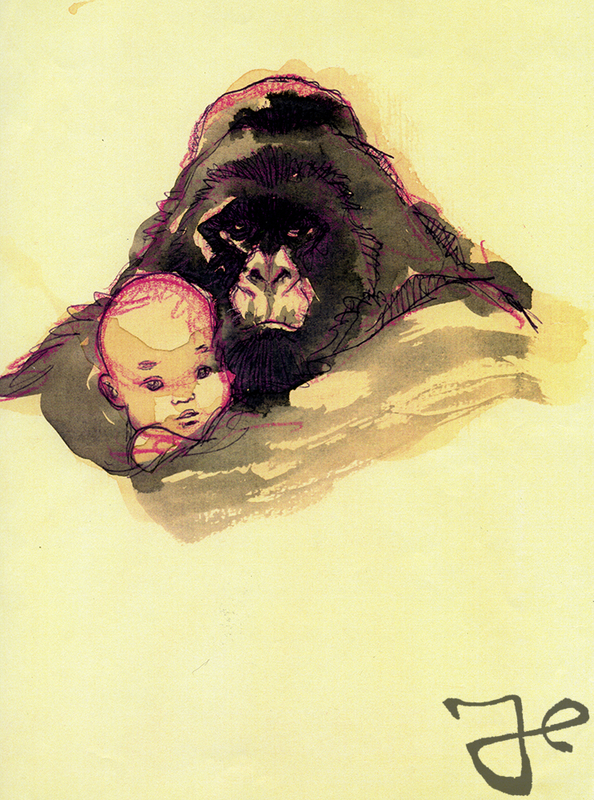 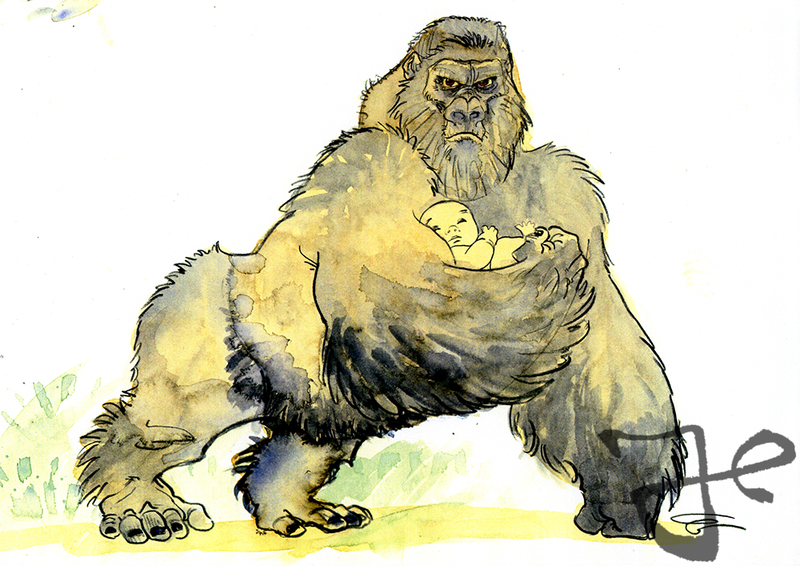 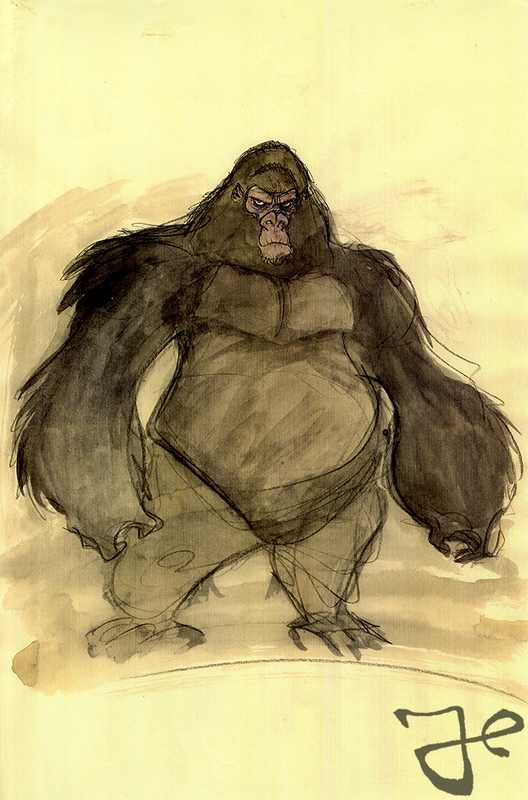 In continuation of the post The Gorillas of Tarzan, here is more visual development art by Harald Siepermann that he created in the second half of 1995 for Walt Disney’s Tarzan. 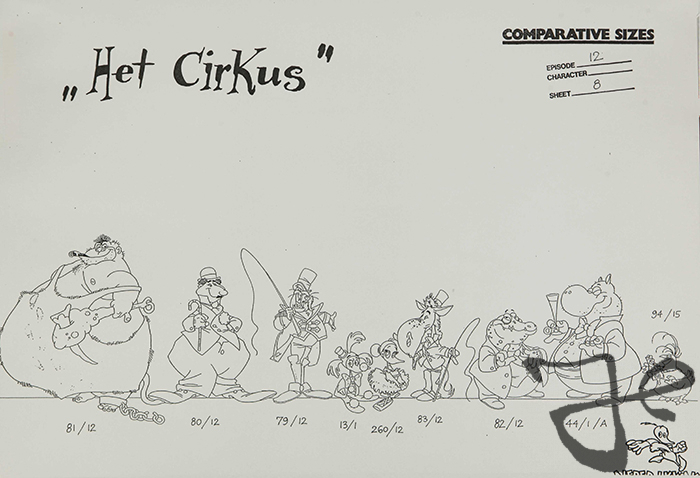 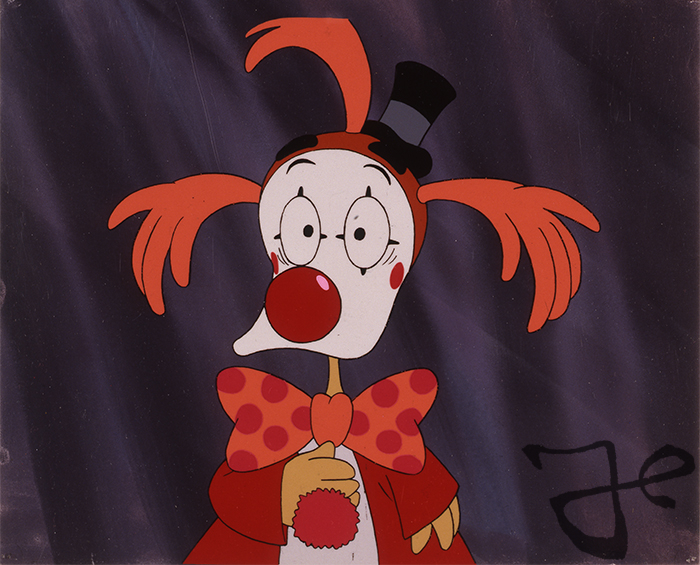 This post is about episode 11 from Harald Siepermann’s popular television series Alfred J. Kwak, called Alfred Joins the Circus. 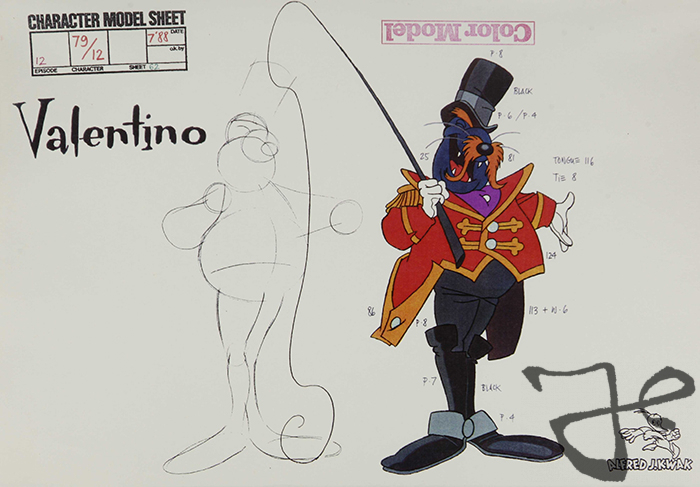 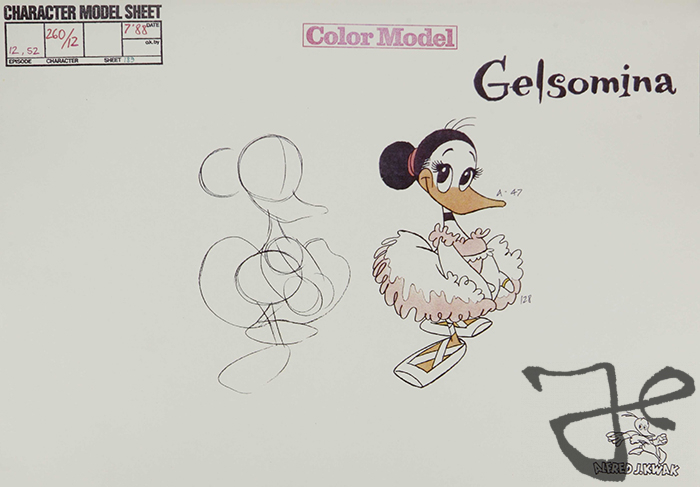 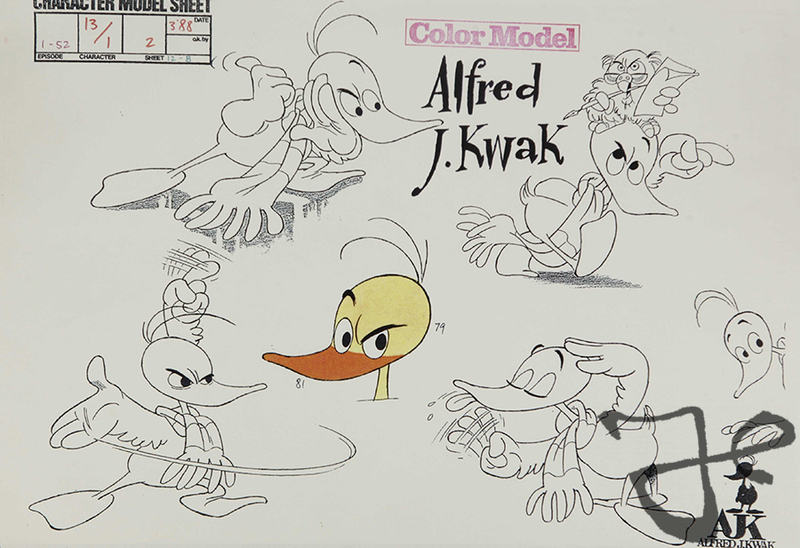 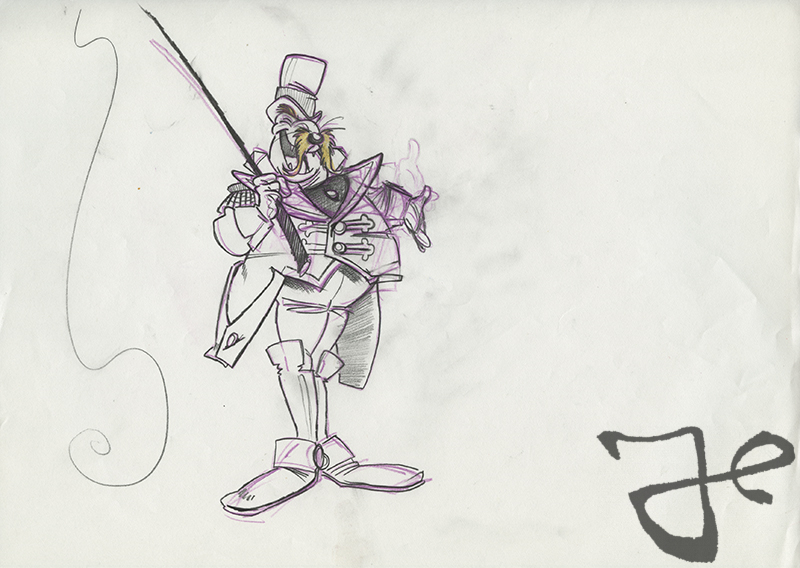 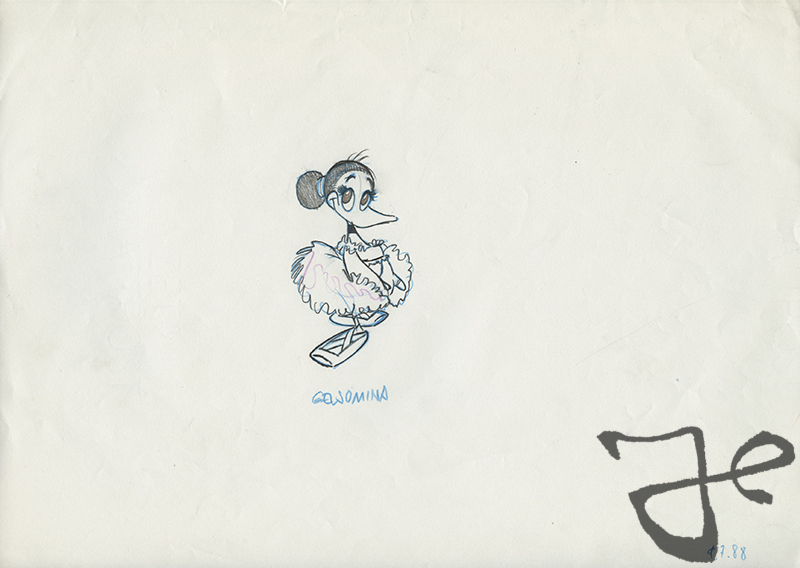 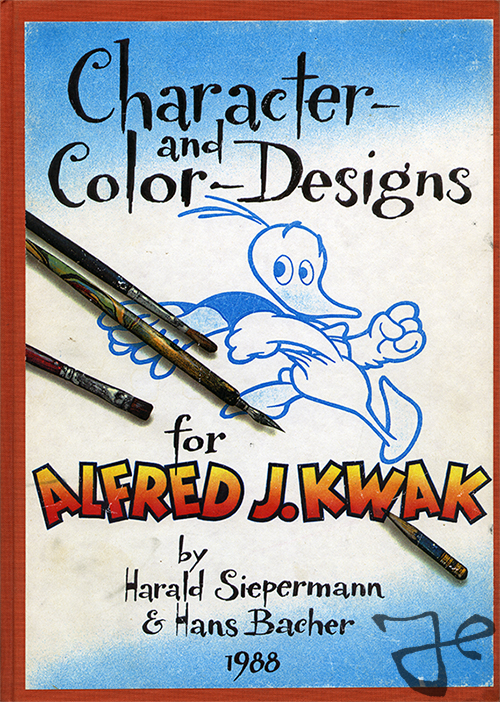 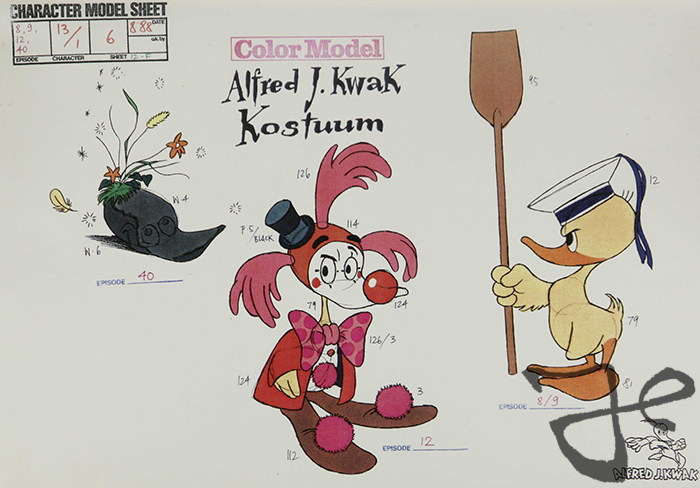 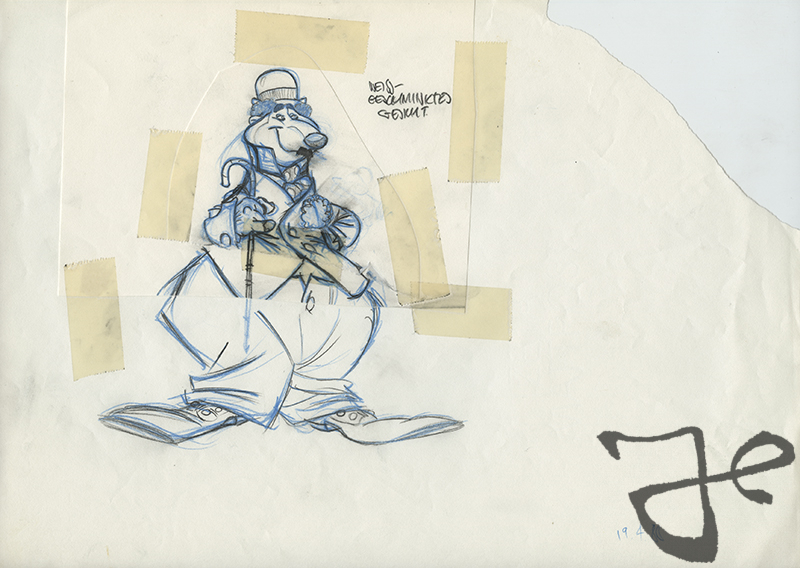 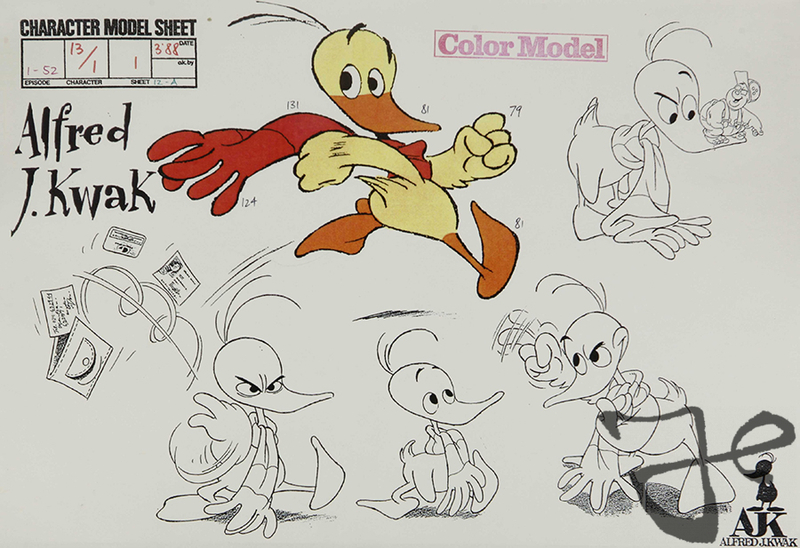 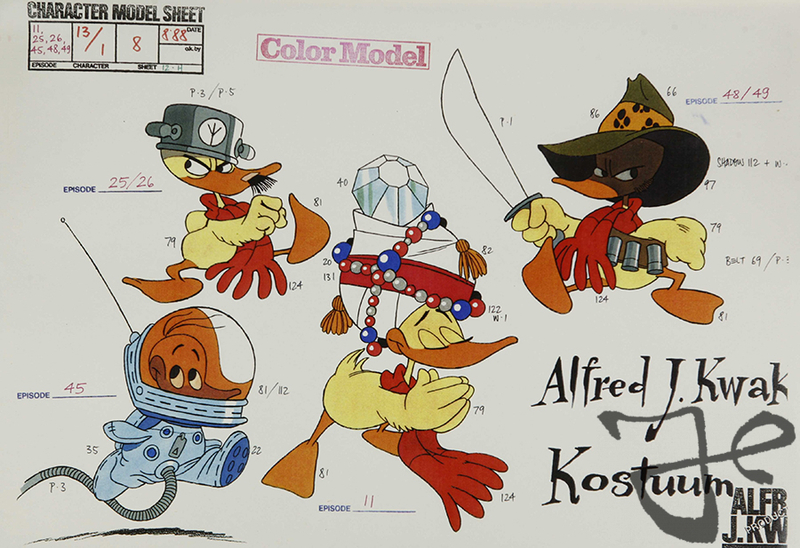 In this particular episode the duck Alfred J. Kwak wants to join the circus. 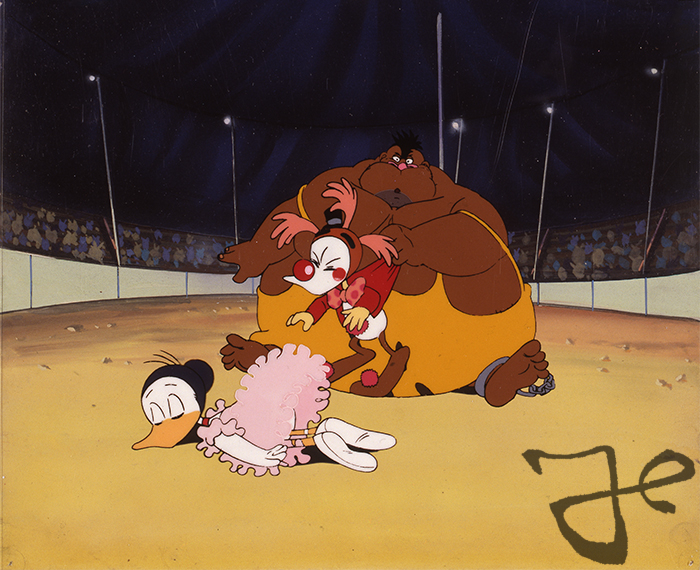 There happens to be a circus in town and there is a position for clown available. 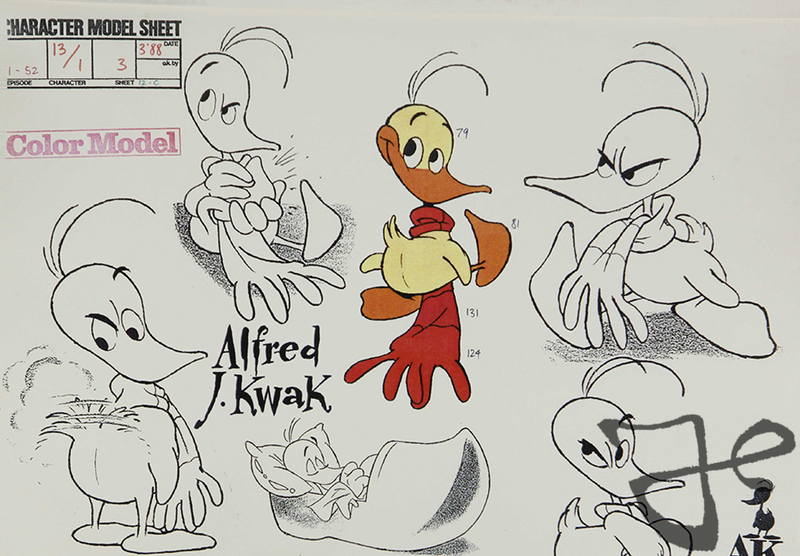 Alfred is up for the task. 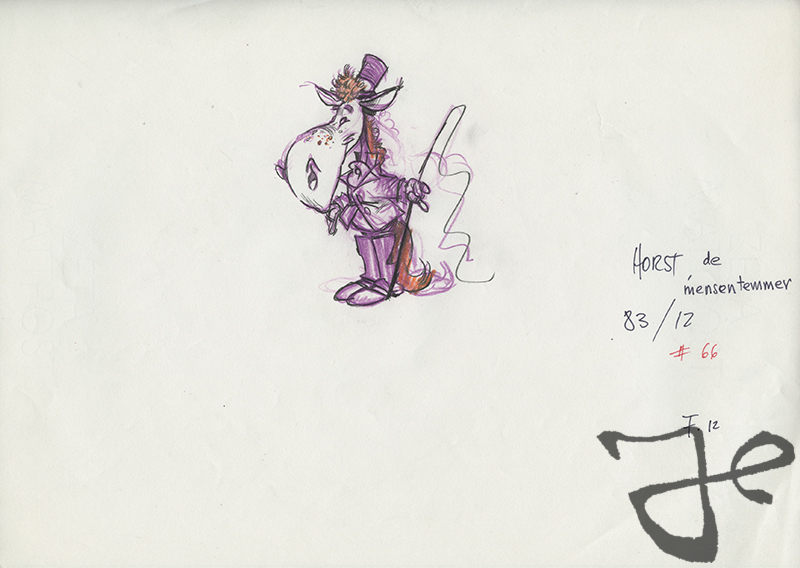 However, as confident Alfred thinks he is, ones the public starts enters the circus arena, Alfred gets stage fright. 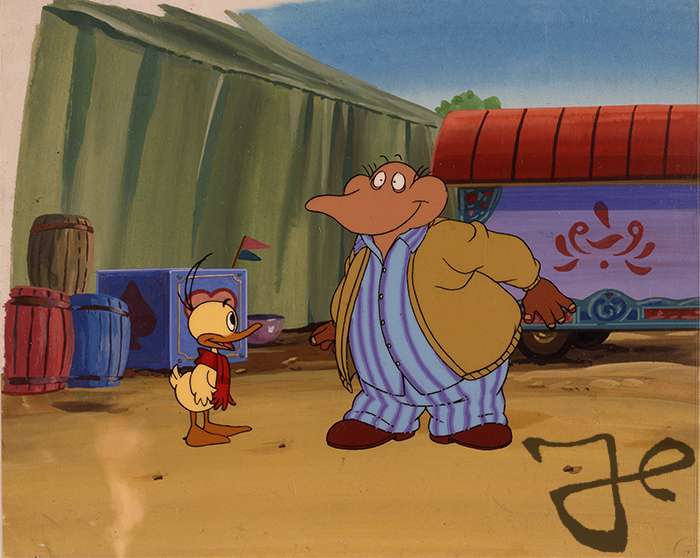 Funny detail about this episode is that, while the series consists of animal characters, there is actually one human in the series, an overly aggressive man. 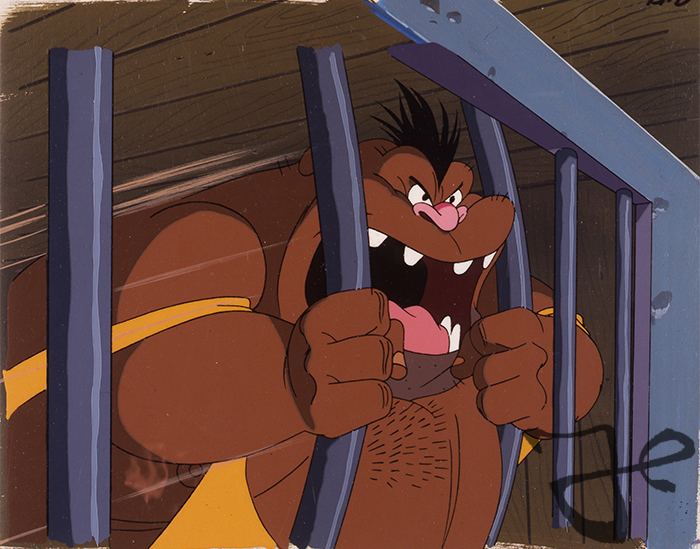 In this reverse world, it is the human who is behind bars and part of the circus act. 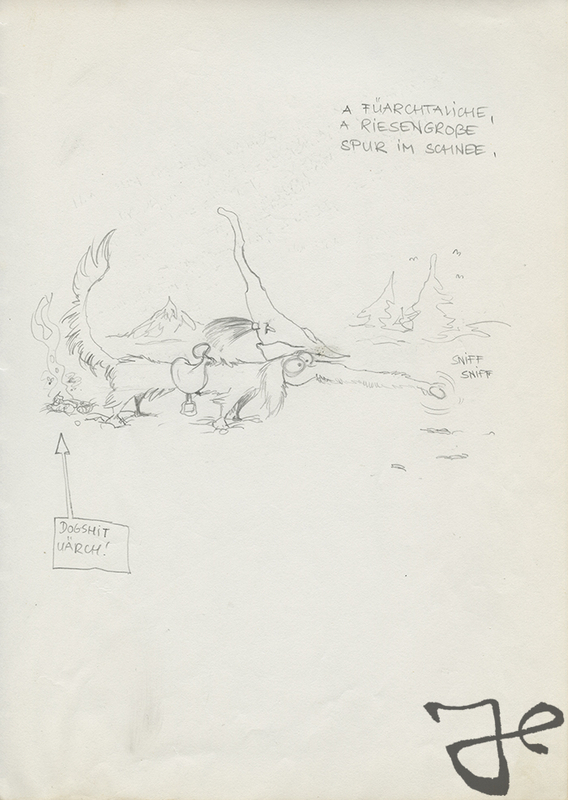 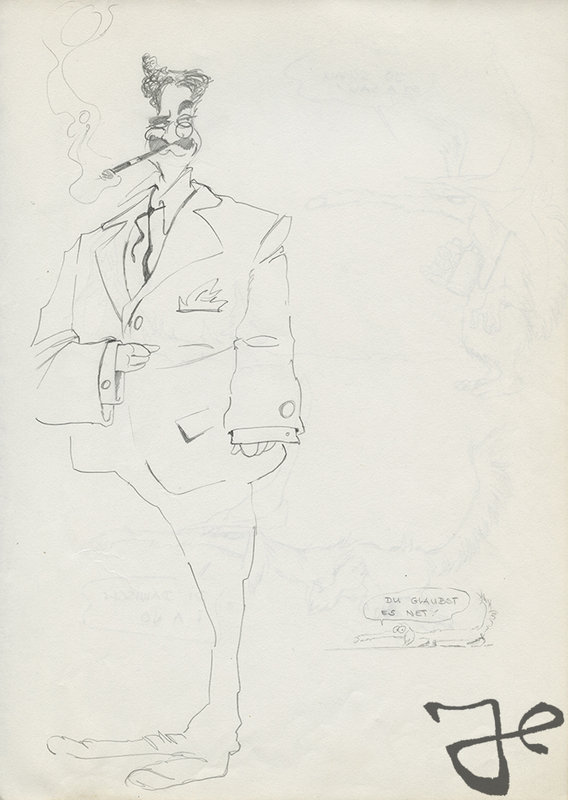 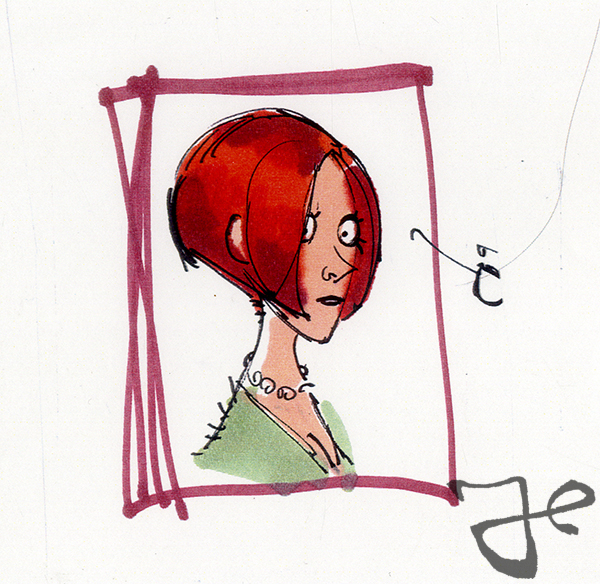 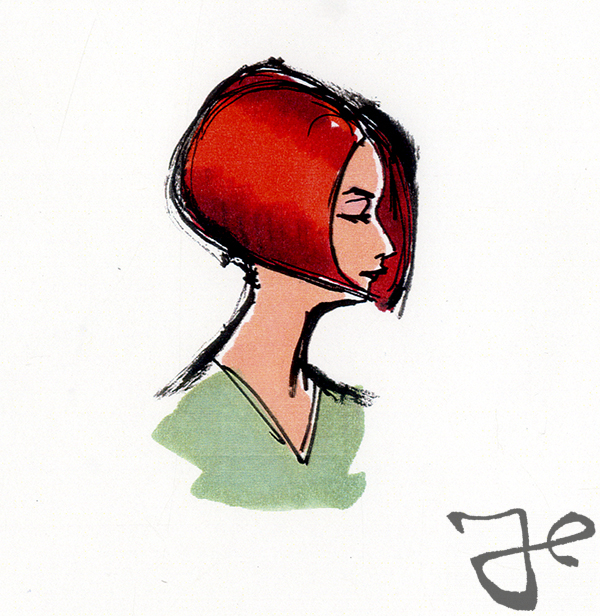 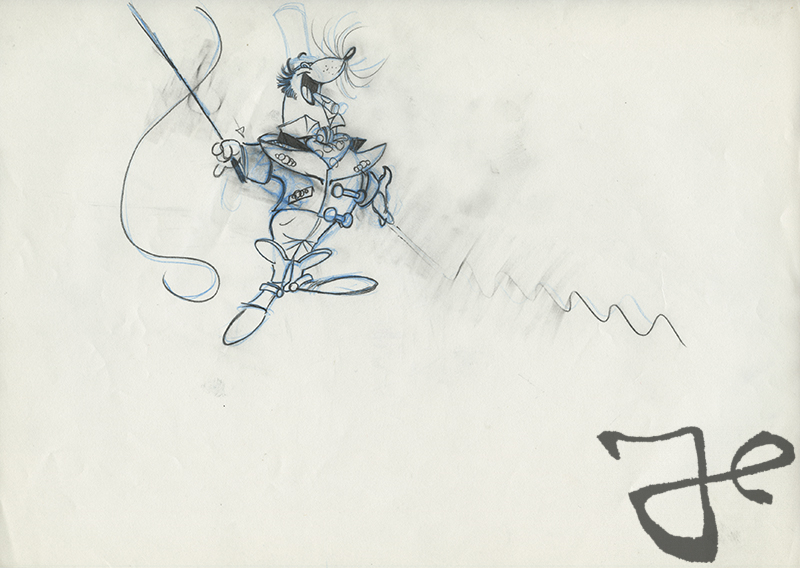 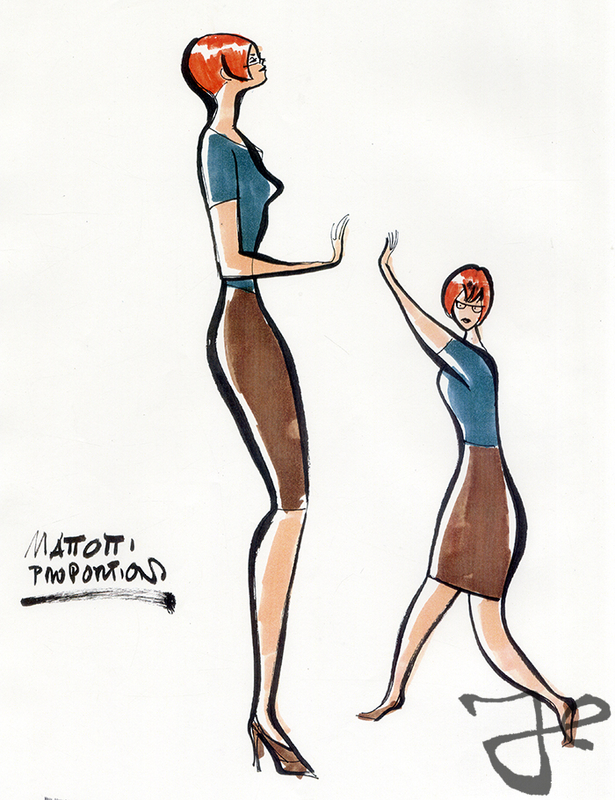 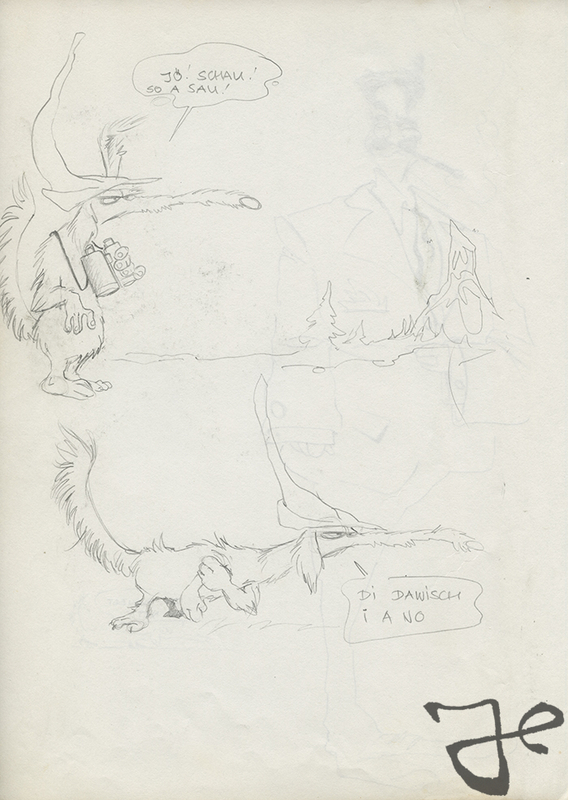 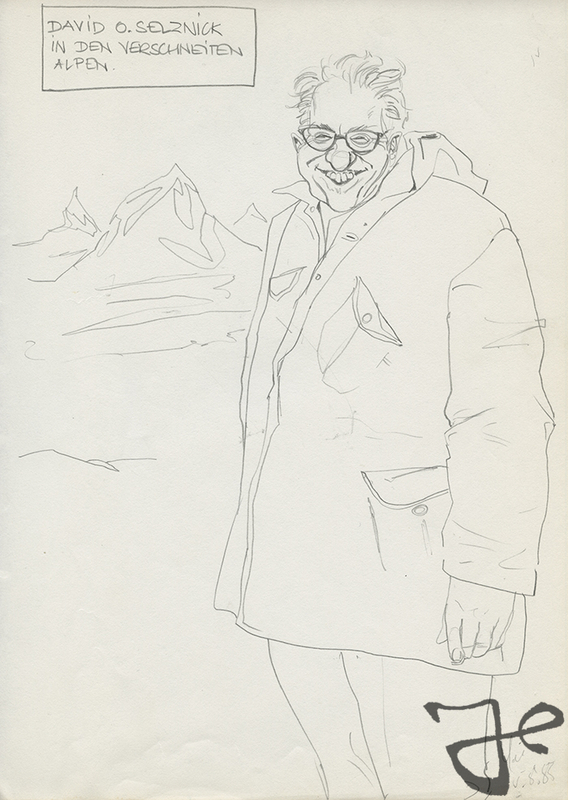 In this post you’ll find several drawings from Harald Siepermann’s 1985 sketchbook. 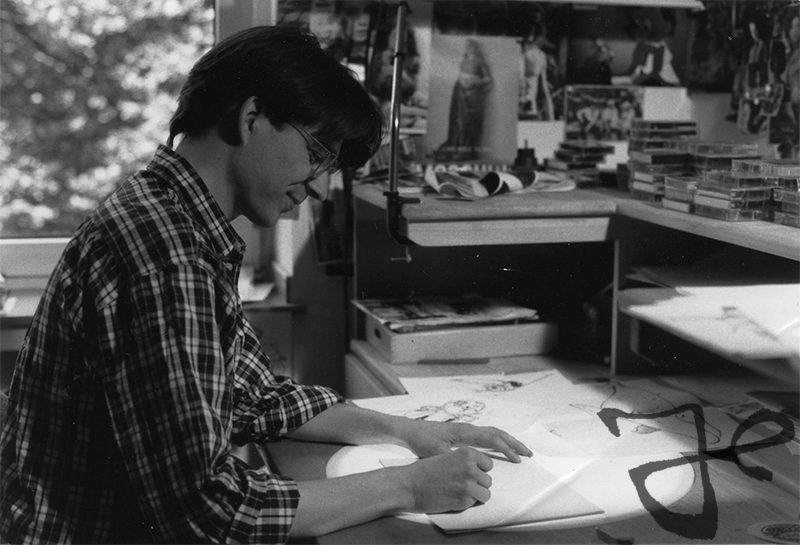 At that time Harald was in his early twenties and studying Graphic Design at the Folkwang University in Essen, Germany. 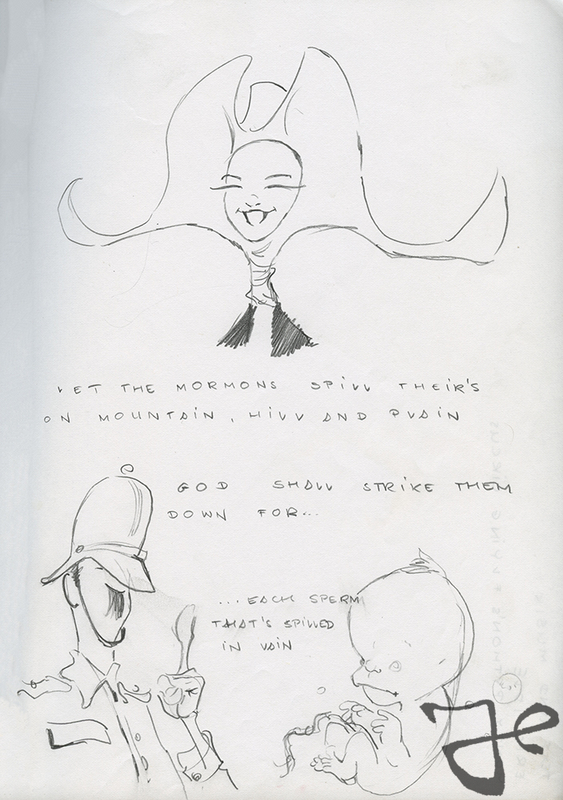 Searching for content to draw, he turned to popular German songs, and turned the lyrics into cartoonish characters. 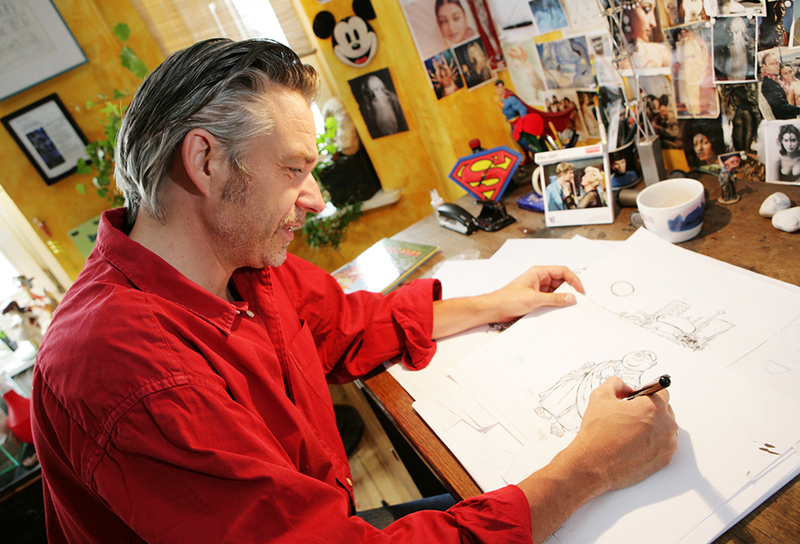 Today it’s been 6 years since Harald Siepermann passed away at the age of 50 after a battle with cancer. 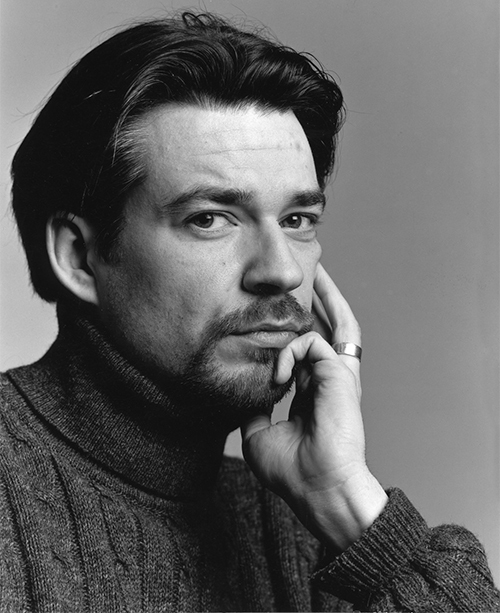 Harald is still dearly missed by family, friends and colleagues. 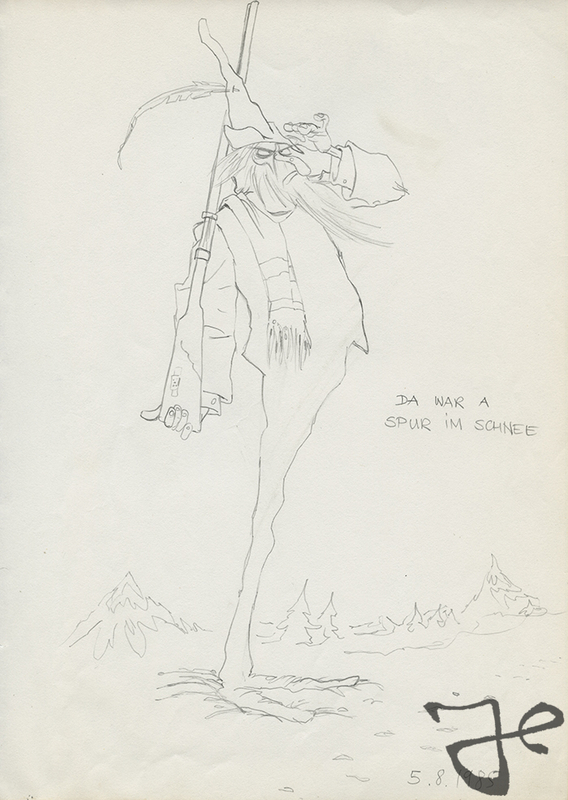 Many people who worked with Harald described him as one of the greatest character designers and an incredible kind and humble human being. 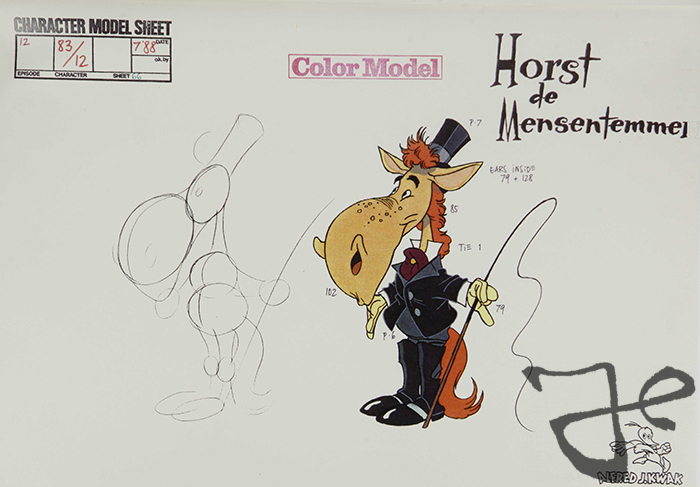 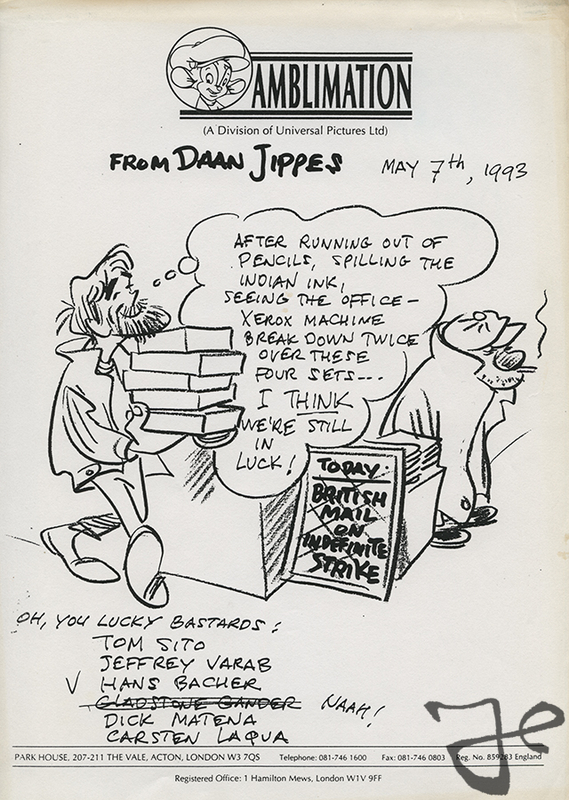 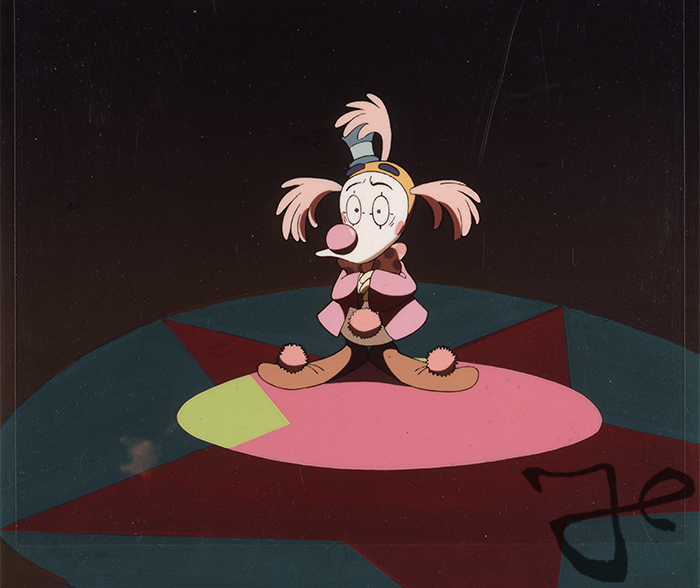 While Harald Siepermann left us with an immense legacy of wonderful artwork, his passing remains an incredible lost for the world of animation. 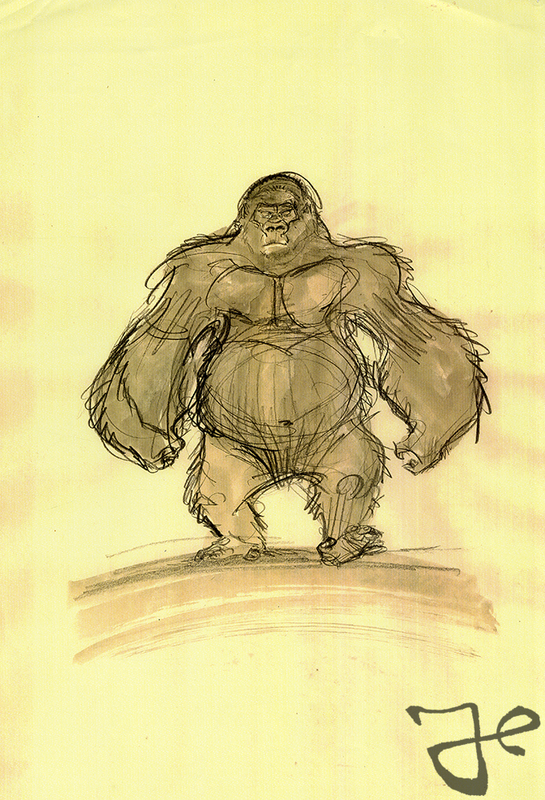 In continuation of the post about Harald Siepermann’s transition from Mulan to Tarzan, this post is about his first assignment for Walt Disney’s Tarzan. 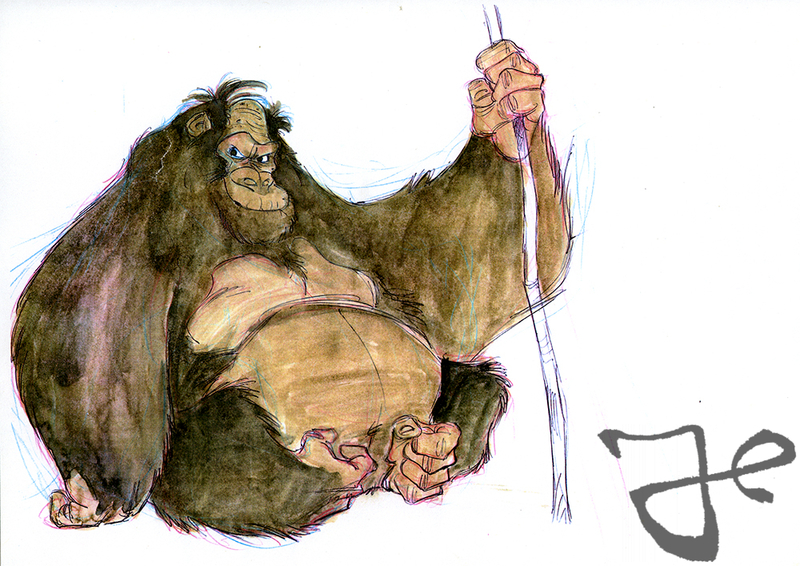 During Harald Siepermann’s first conversation with the directors Kevin Lima and Chris Buck in the summer of 1995, they asked if Harald wanted to explore the primate world and their relationship with a young Tarzan. 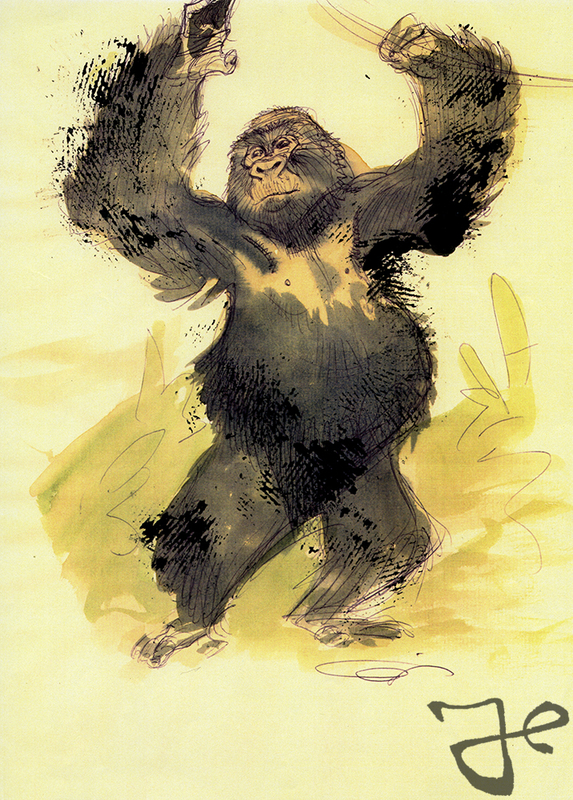 Siepermann went back to Germany, and, based on the book Tarzan of the Apes by Edgar Rice Burroughs, he did just that. 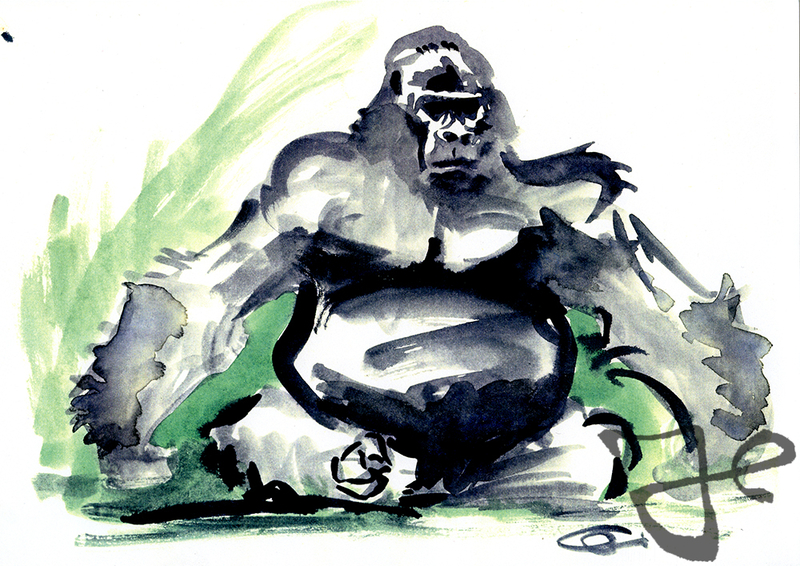 From his home studio Siepermann created as much gorillas as possible and exploring different artistic approaches. 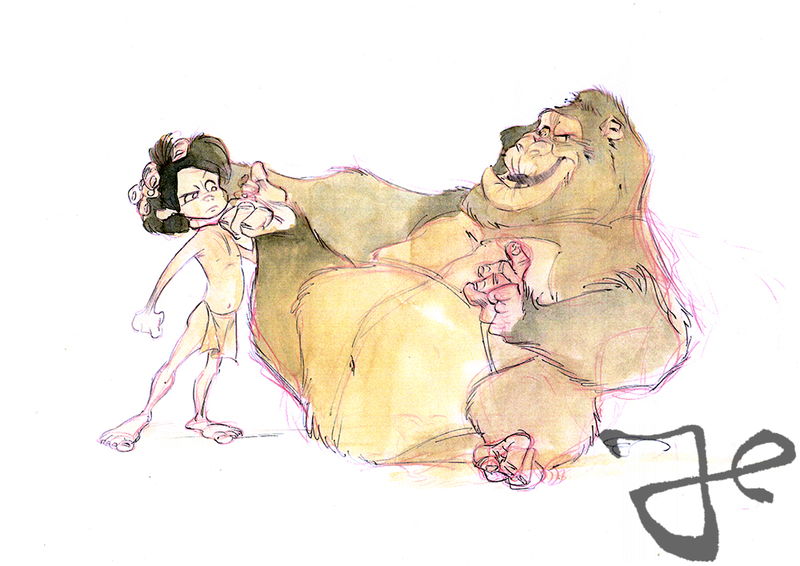 Some more realistic and some more cartoony, and some with a young Tarzan. 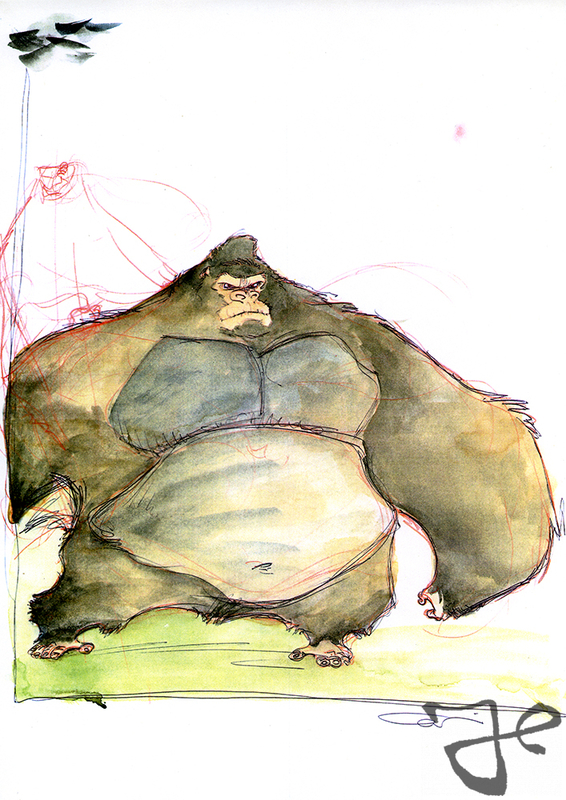 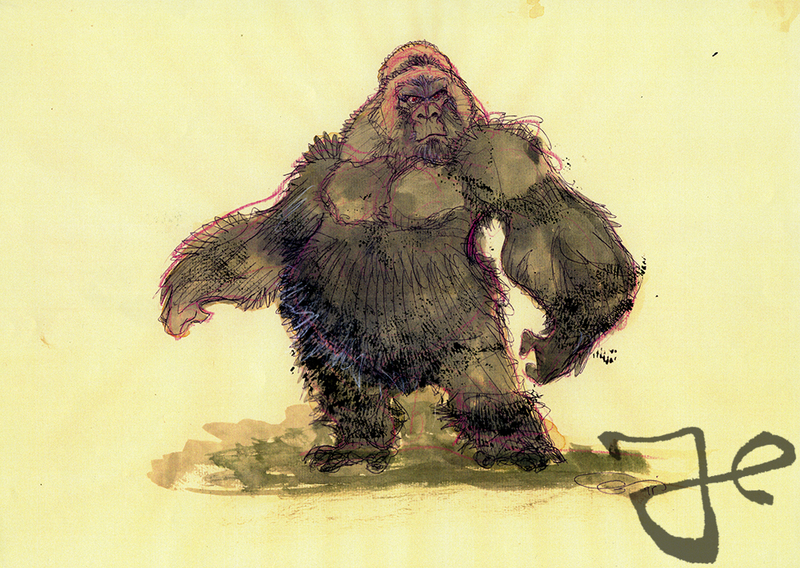 The illustrations below are just a few of the many gorilla designs. 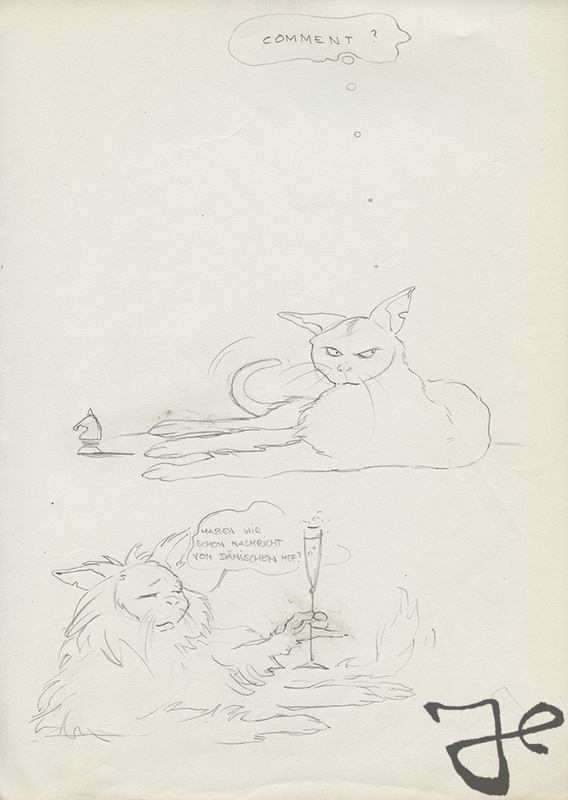 The person that received the chain letter had to send it to five other peoples. 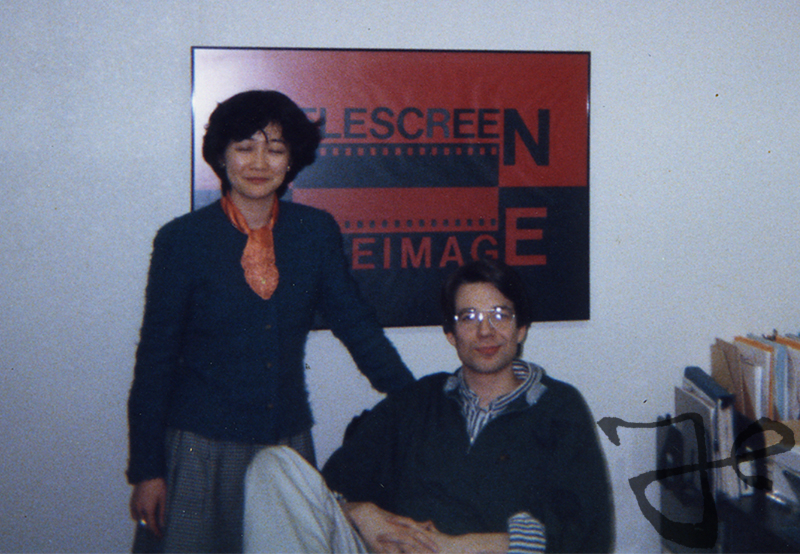 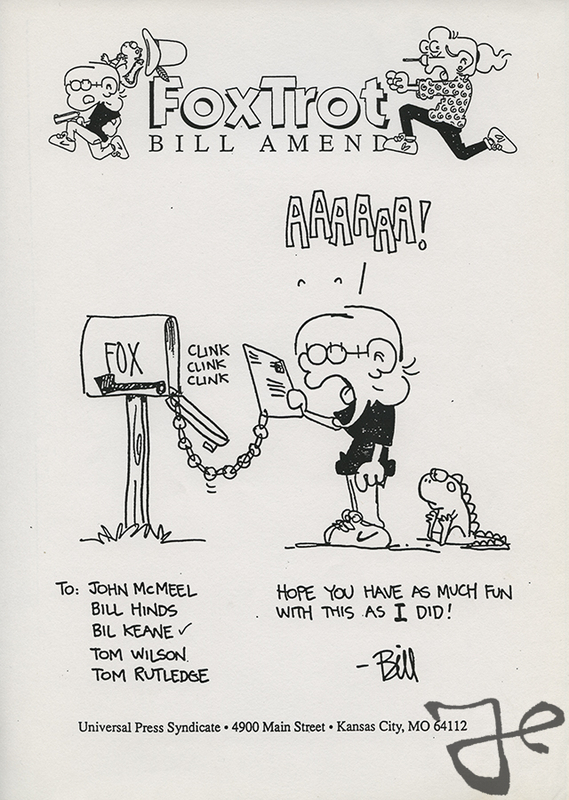 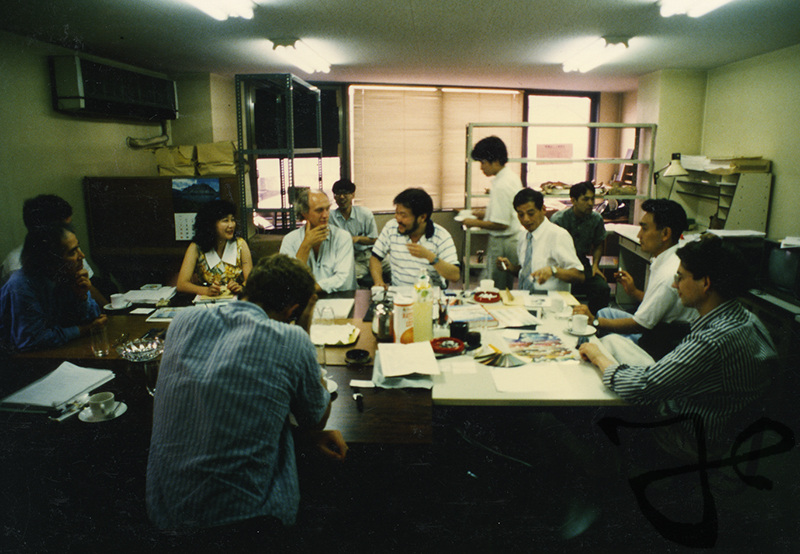 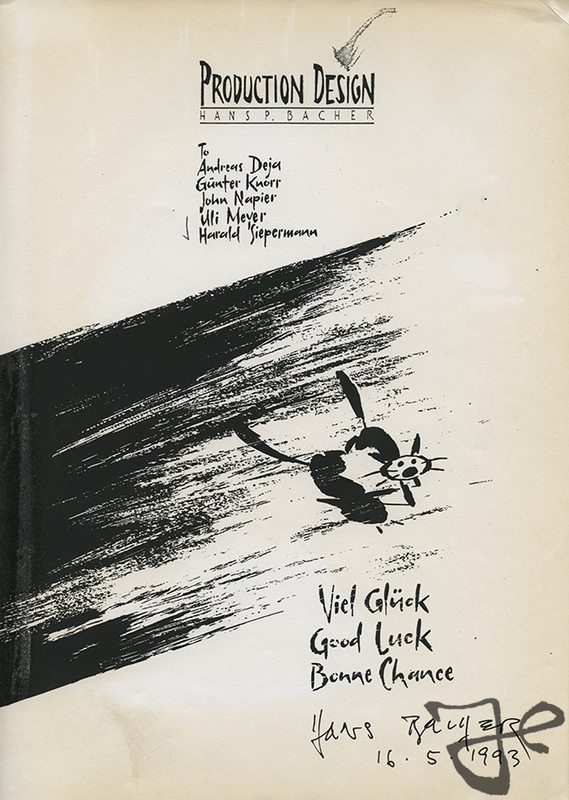 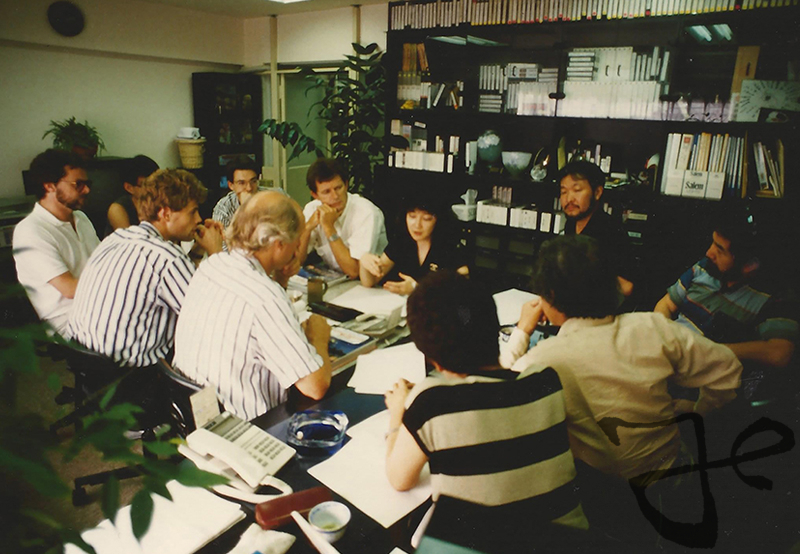 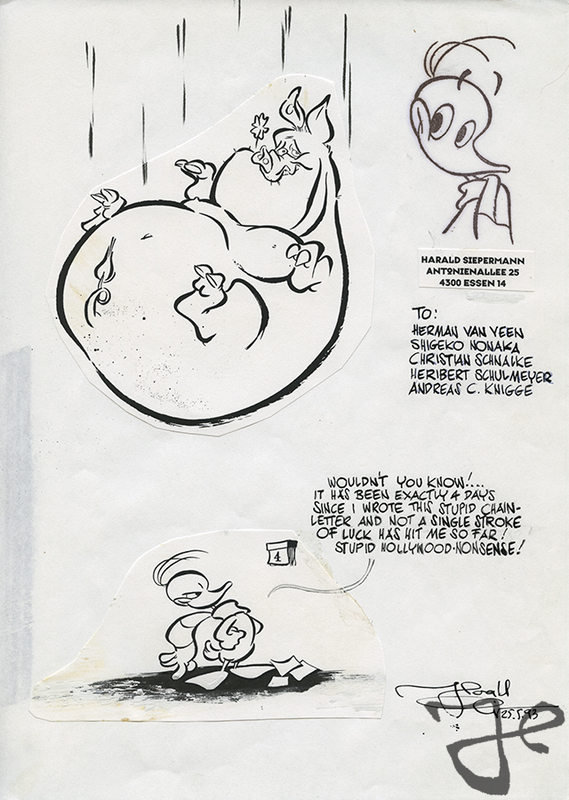 Harald Siepermann decorated the letter with a funny drawing of Alfred J. Kwak and passed the chain letter on to Herman van Veen (co-creator Alfred J. Kwak), Shigeko Nonaka (Vice President of Telescreen Japan, Inc.) Christian Schnalke (friend and co-writer of several animation productions Siepermann worked on), Heribert Schulmeyer (German comic book artist), and Andreas C. Knigge (German publisher of the Alfred J. Kwak comics). 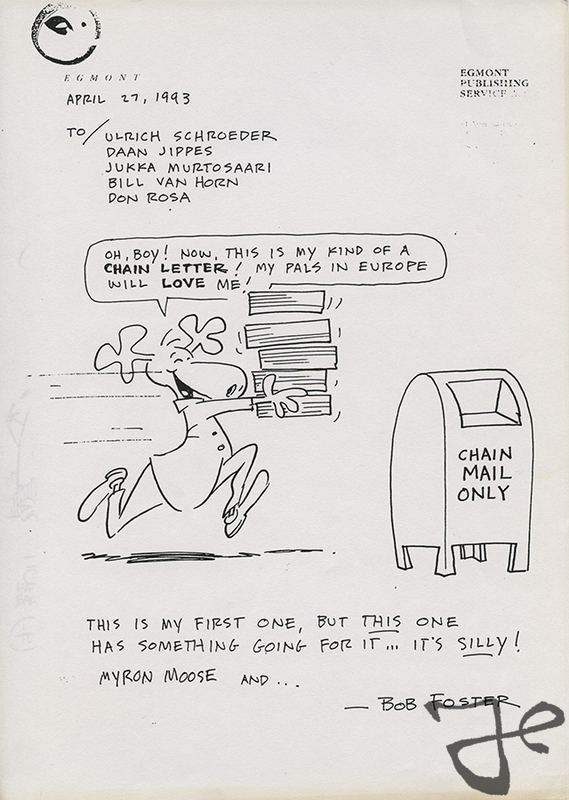 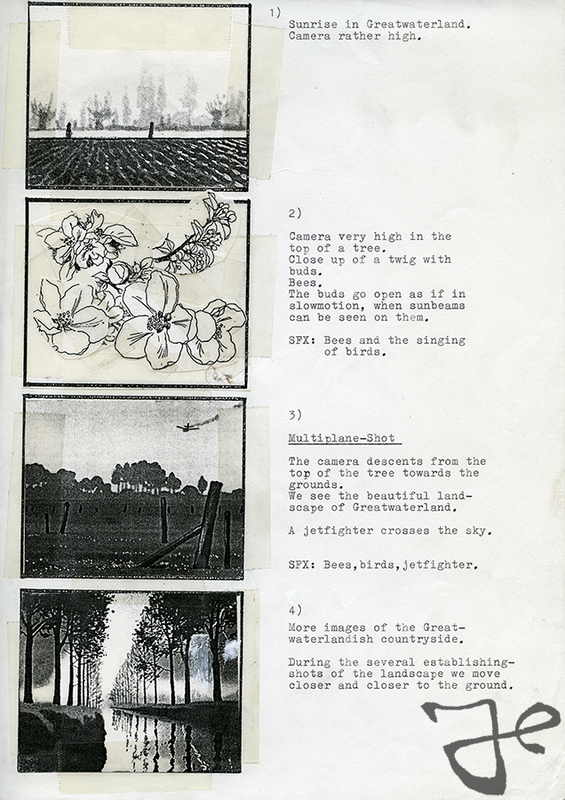 Here are several of these chain letters by various artists, that Harald Siepermann kept in his archive. 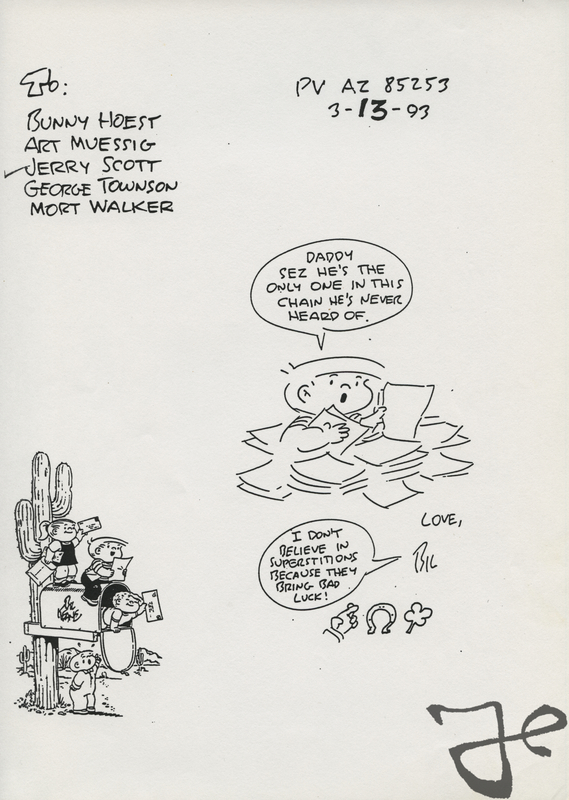 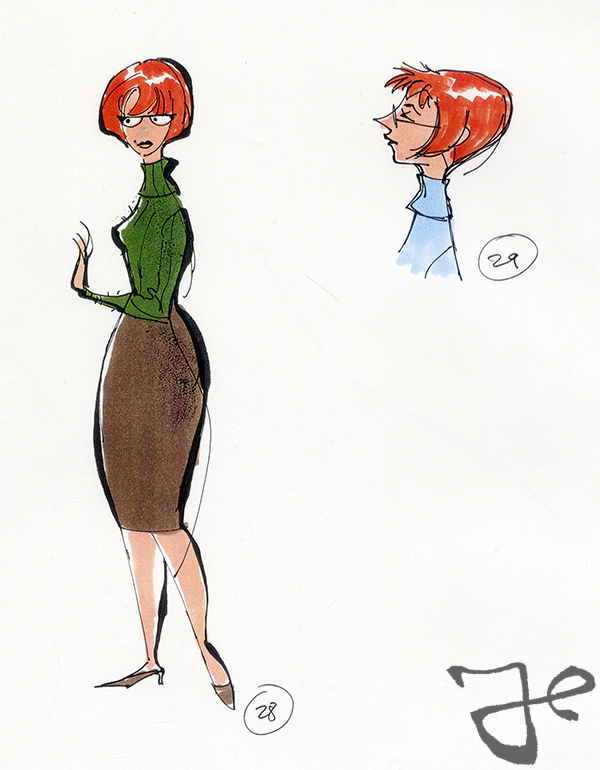 In continuation of the two previous post about Oscar and Rebecca from the cancelled Walt Disney project Fraidy Cat, here’s another post about the character Doris, the owner of the cat Oscar. 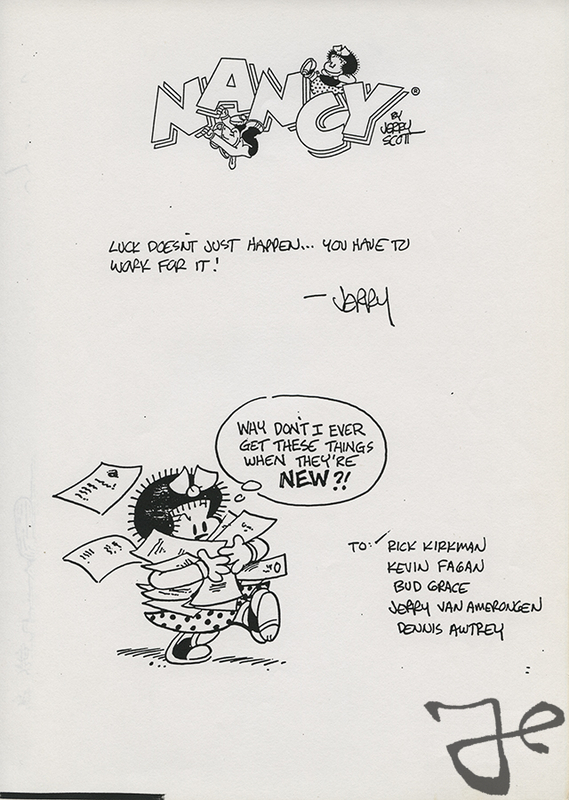 During the period that Harald Siepermann worked on Fraidy Cat, the script described Doris as a single lady in her early twenties, wearing a thick rimmed glasses, and who lives in a small apartment in London. 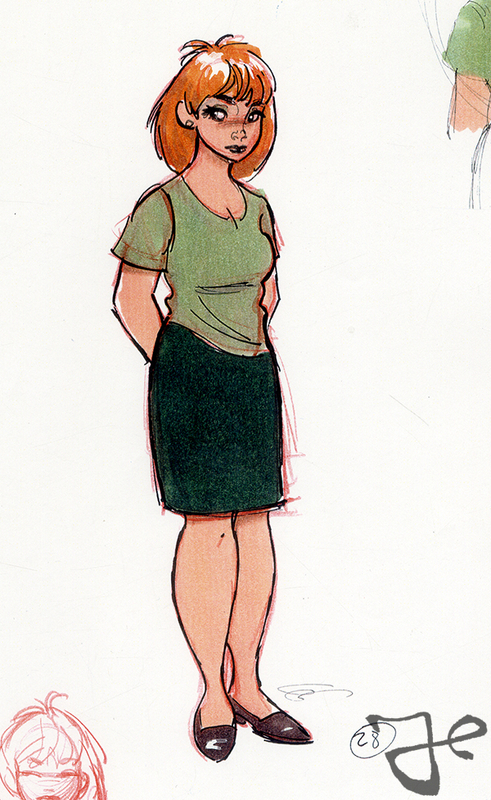 She works as a secretary in a small office building across the courtyard from her apartment. 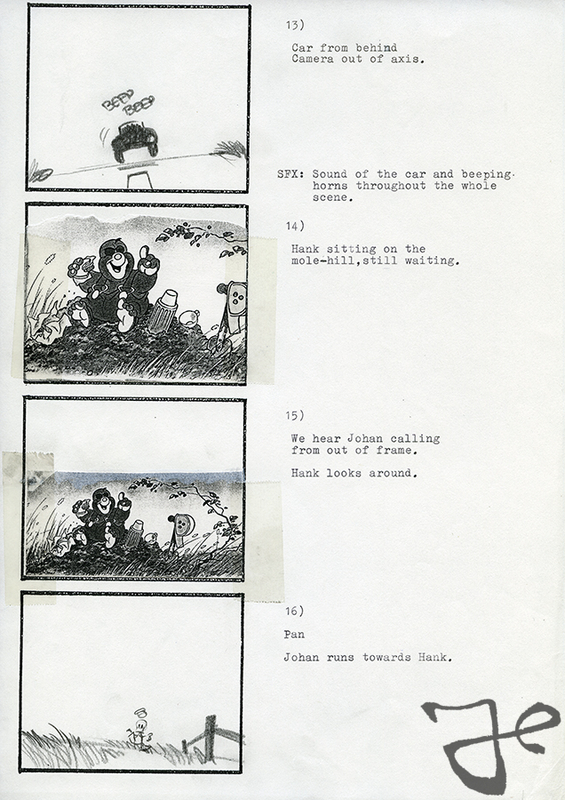 From the windowsill of her apartment Oscar and the goldfishes Bernard and Herman follow Doris throughout the day. 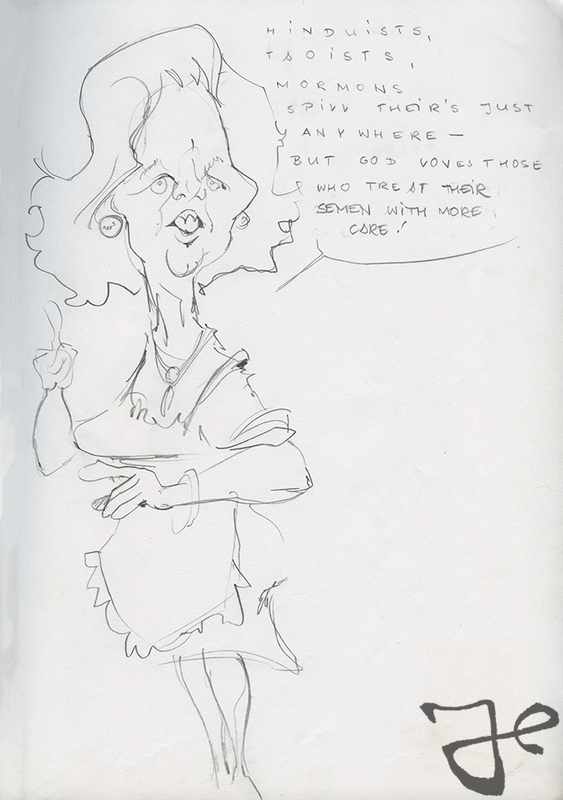 They wonder what she’s doing there sitting down all day, while she can do that at home as well. 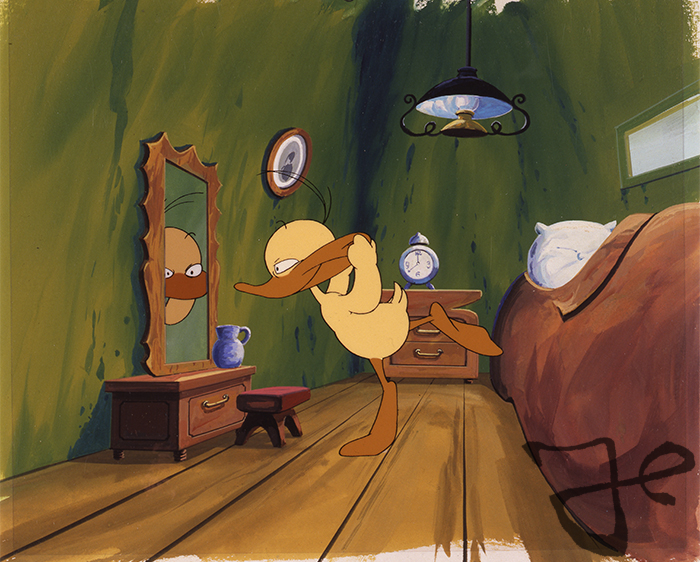 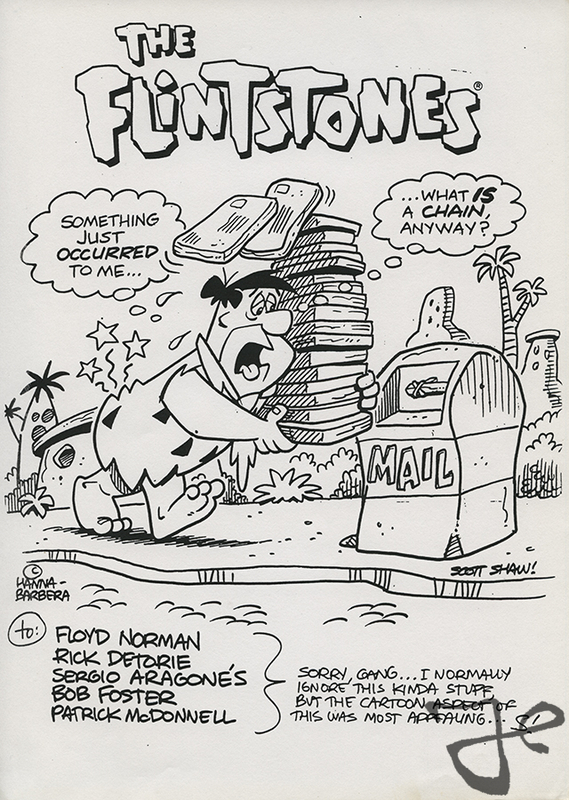 The lonesome Doris has a shy and introverted character, and like Oscar has to gain more confidence throughout the story, Doris makes a personal transition as well. 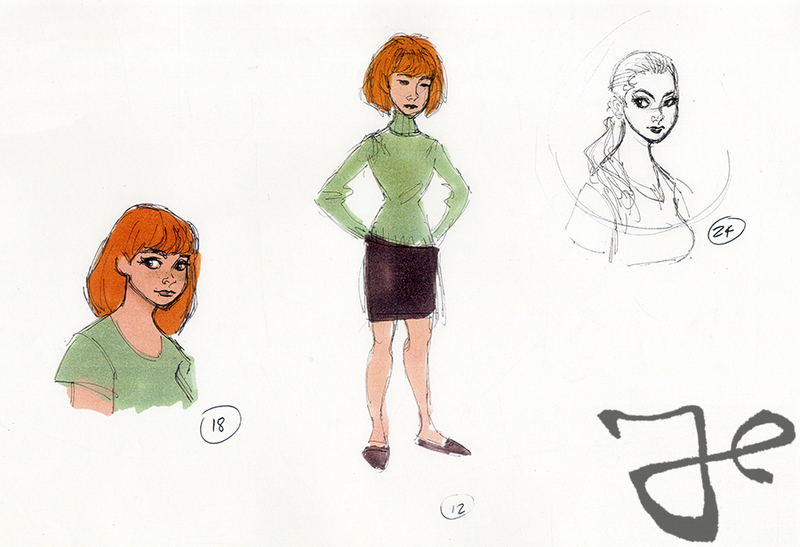 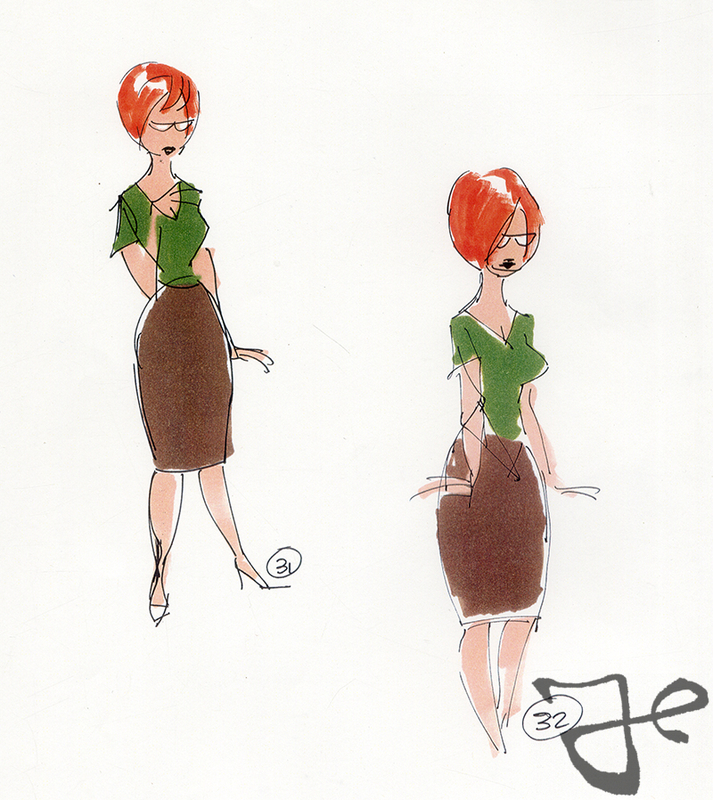 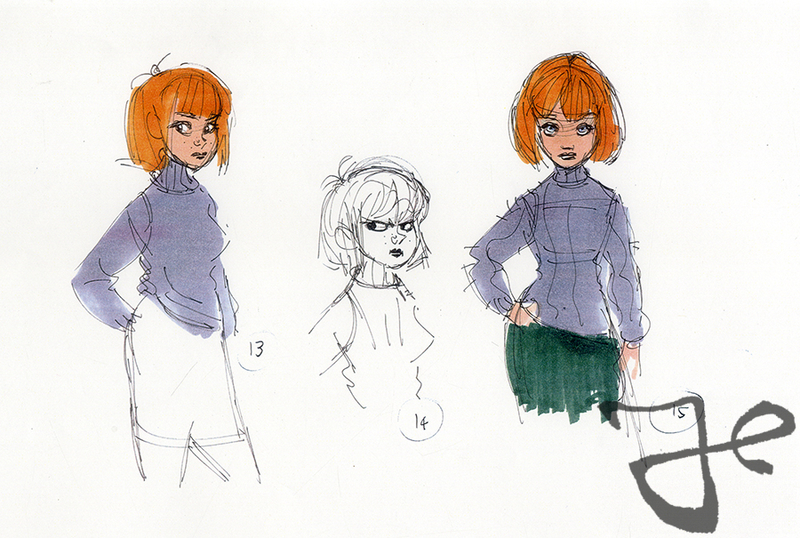 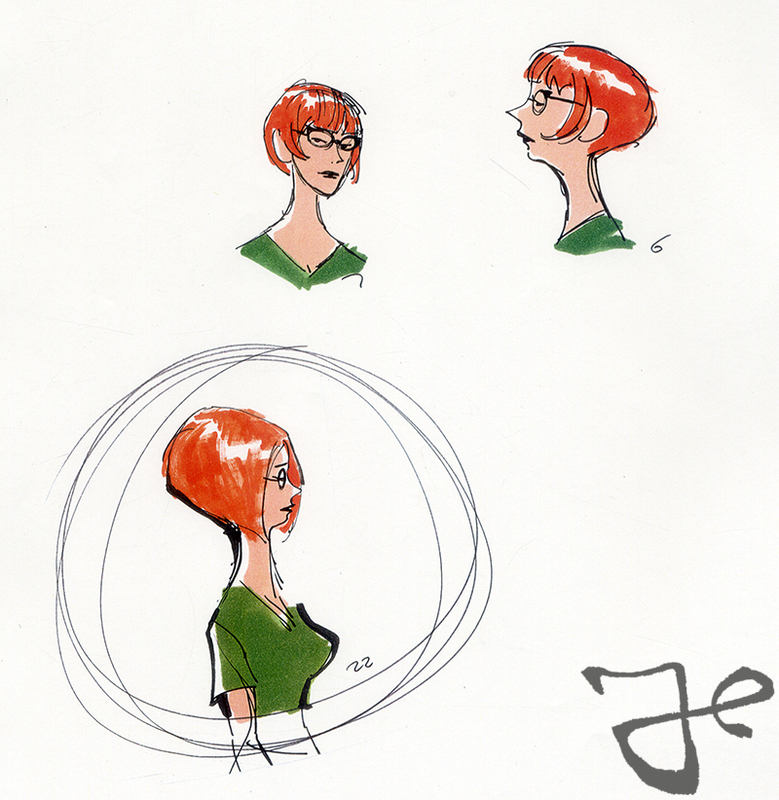 Here are various illustrations by Harald Siepermann with different design approaches in the search for a possible look for Doris. 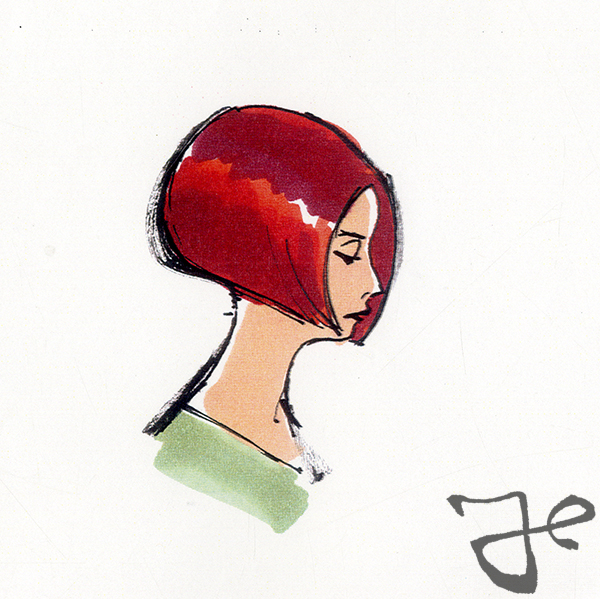 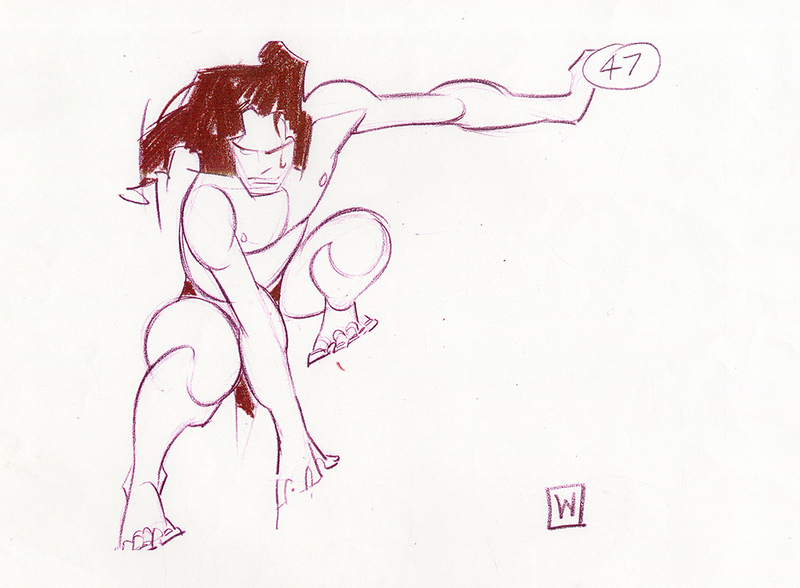 Today it has been two years since John Watkiss passed away. 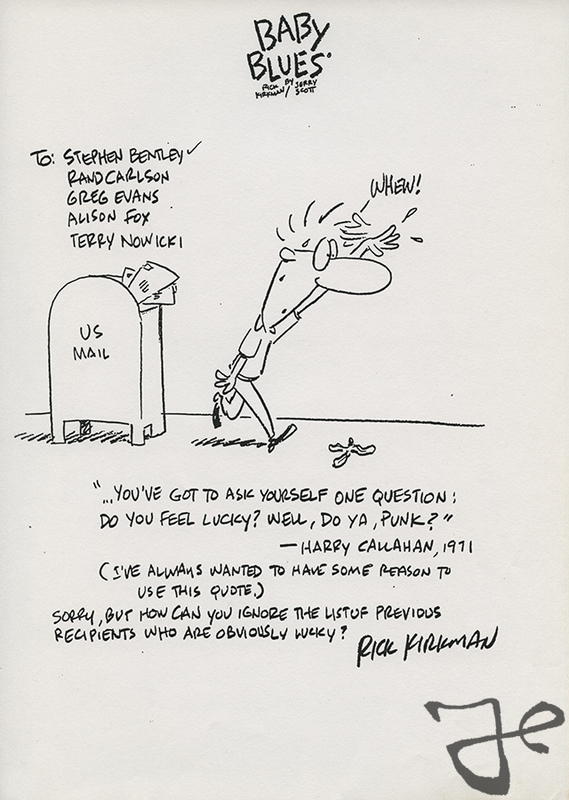 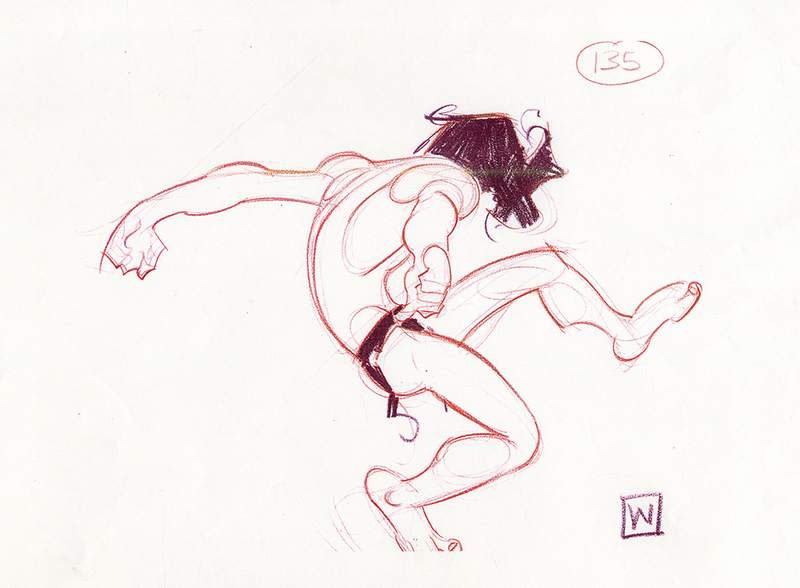 Harald Siepermann and John Watkiss were good friends. 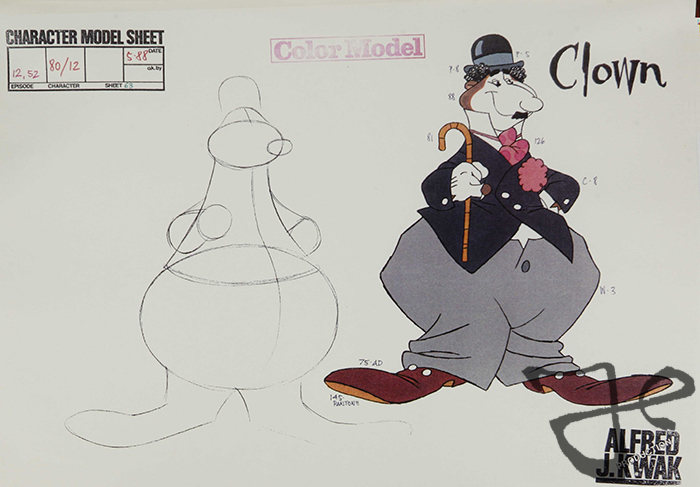 They met each other when Harald was working on the development of Who Framed Roger Rabbit in London in 1987. 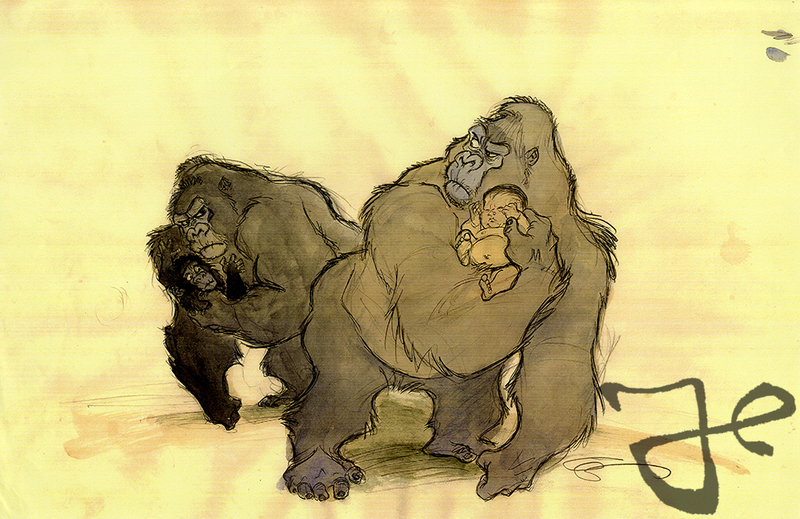 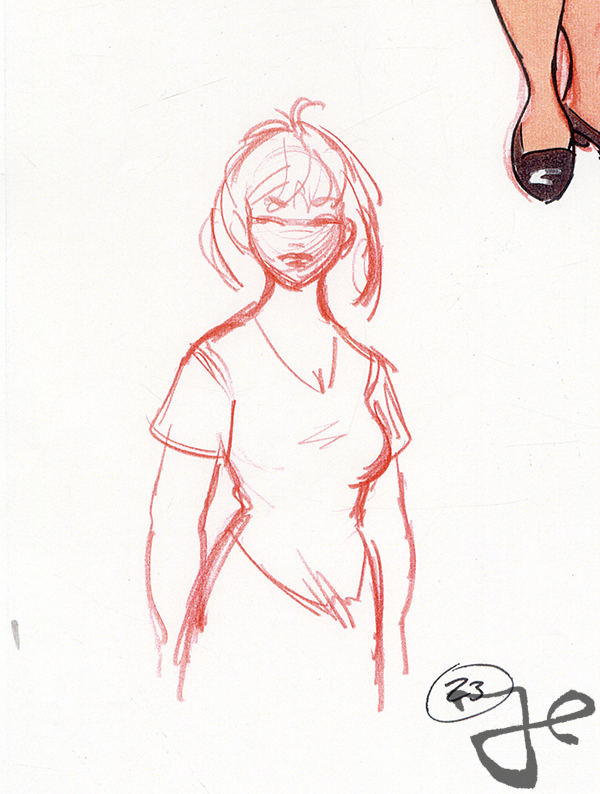 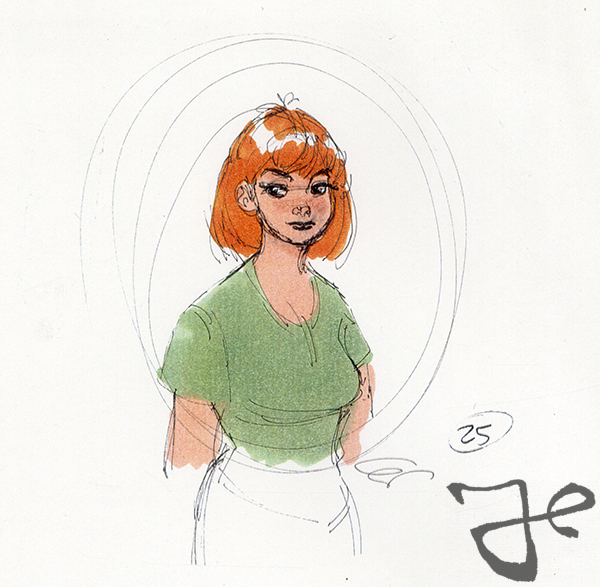 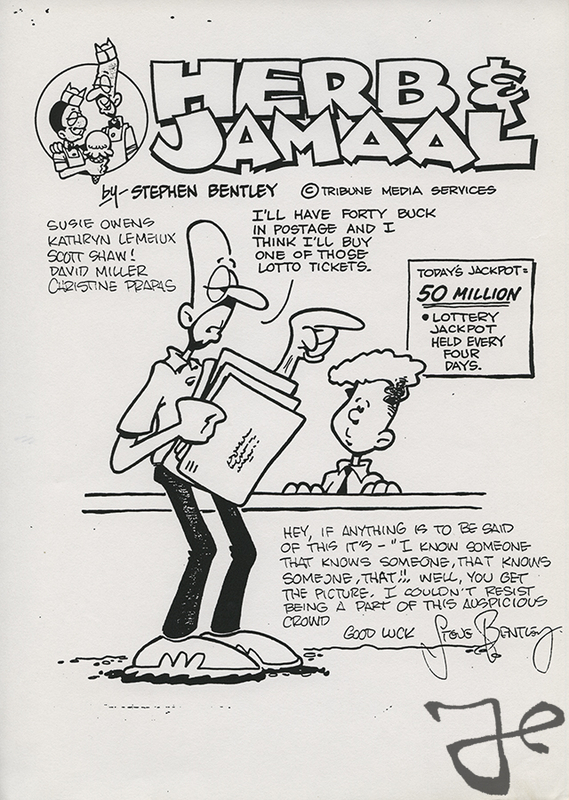 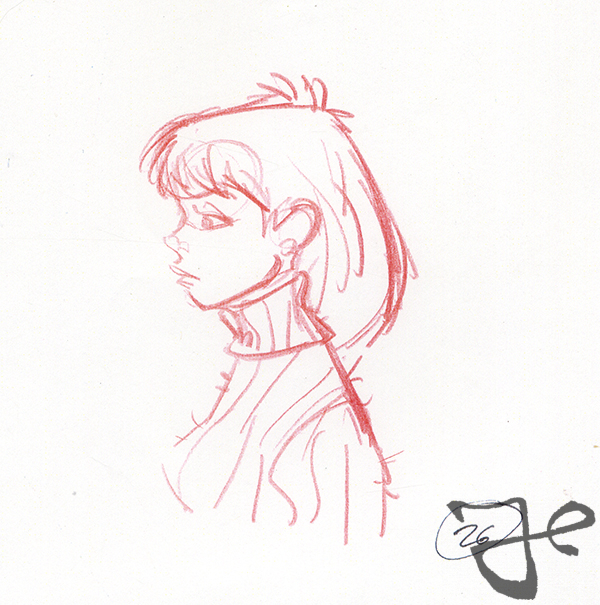 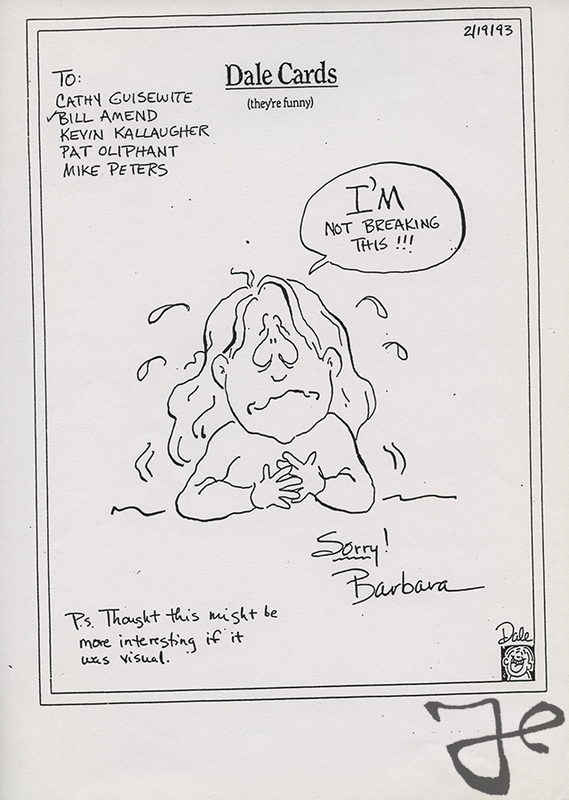 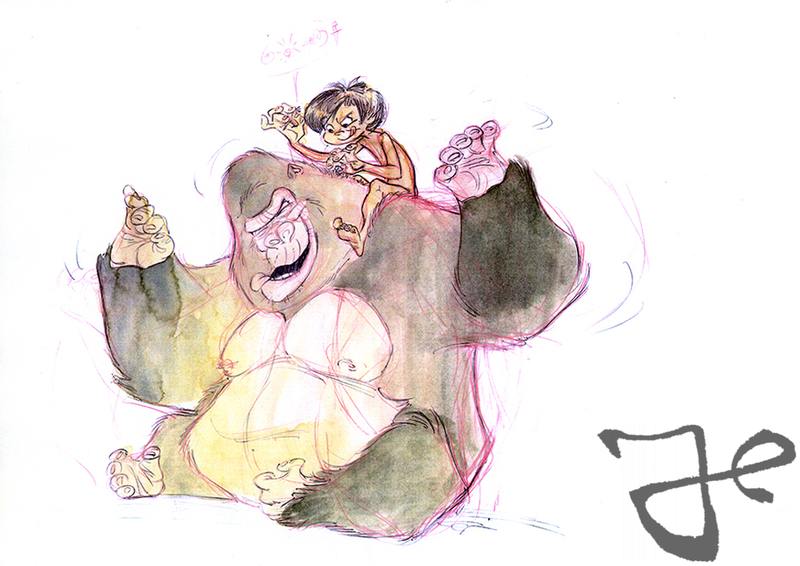 Furthermore they both worked on the visual development of the Walt Disney projects Tarzan and Kingdom of the Sun. 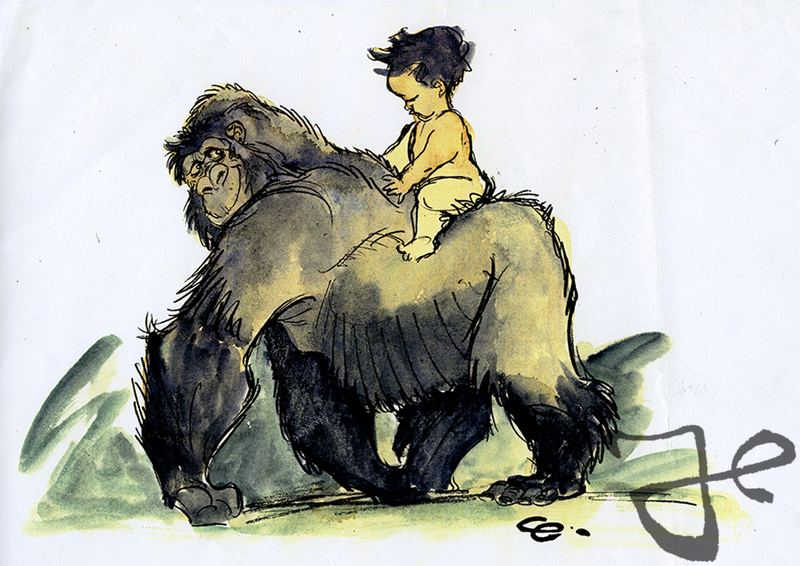 His work on Tarzan is praised for his amazing jungle scenes which he drew on large canvas, and his great detail for the human anatomy of the character Tarzan. 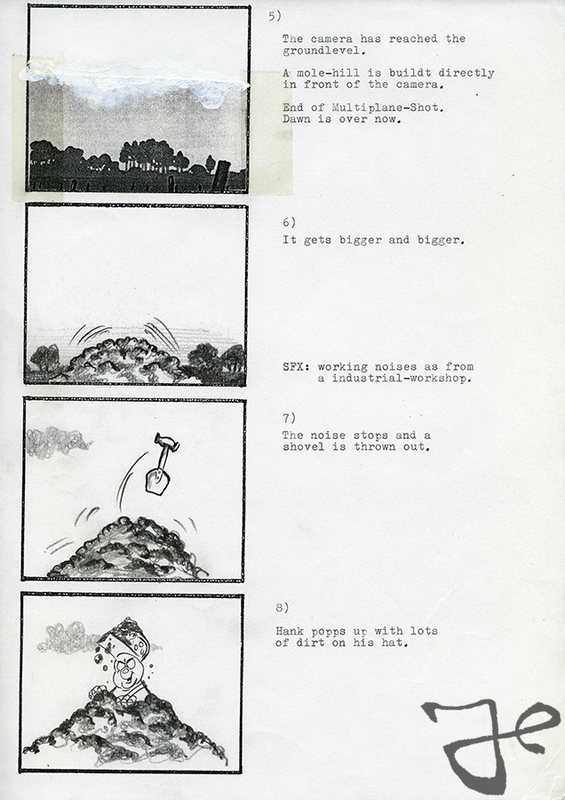 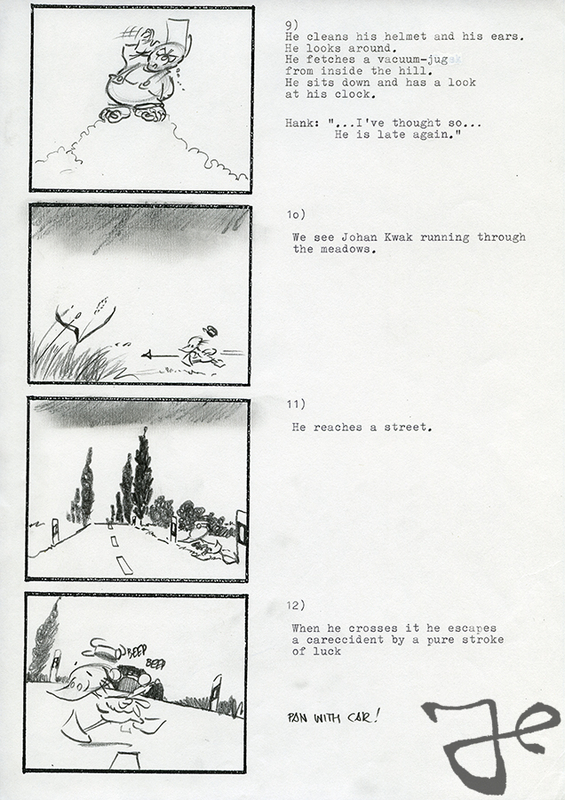 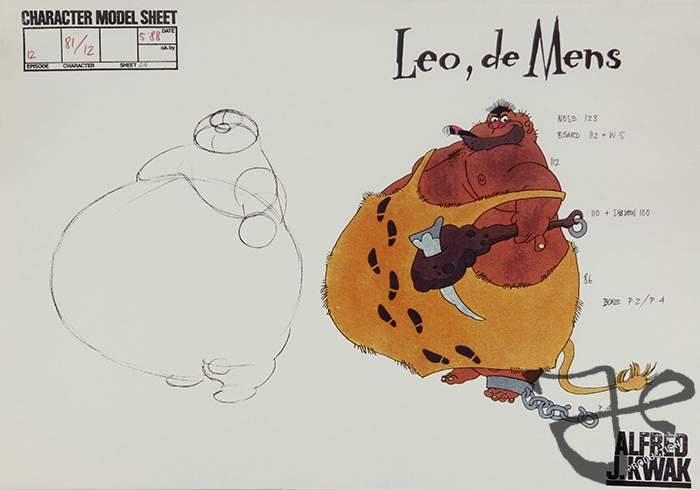 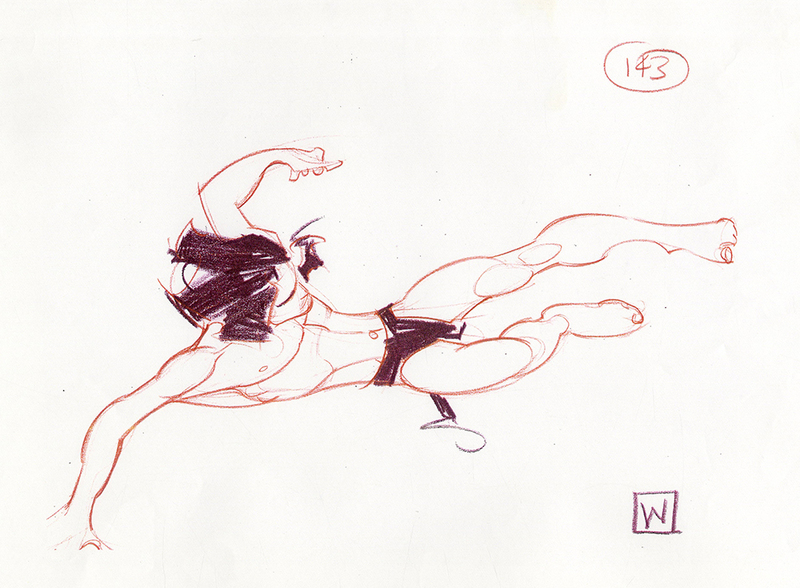 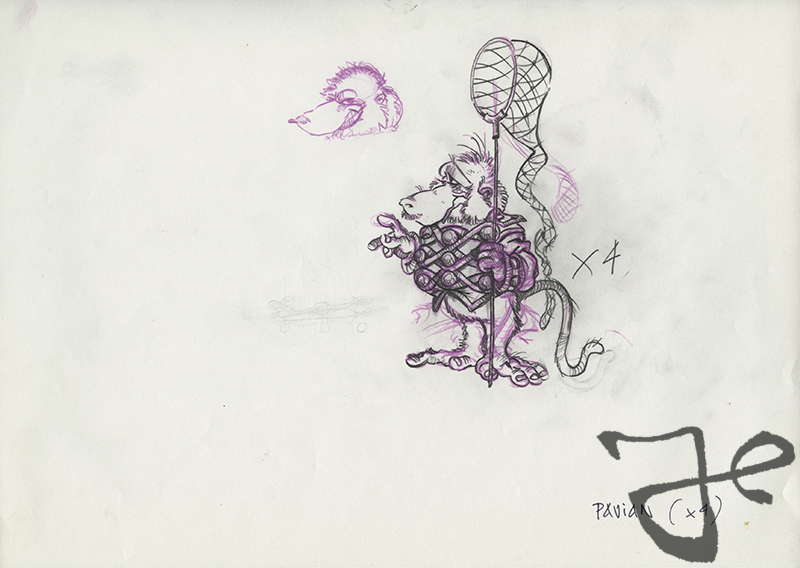 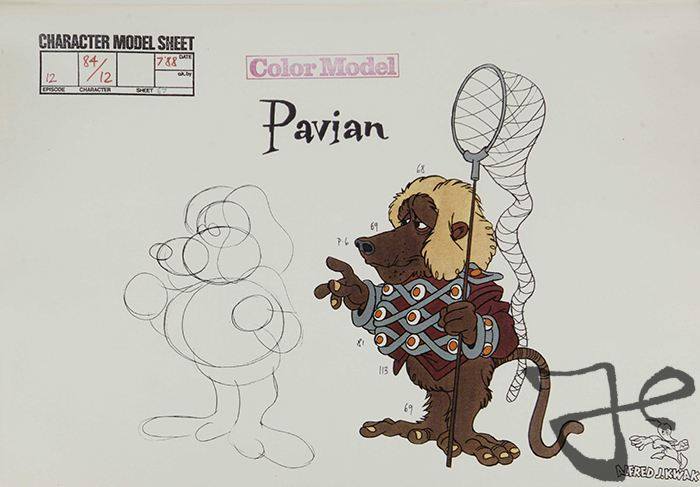 Here are some of his designs for Tarzan from Harald Siepermann’s archive. 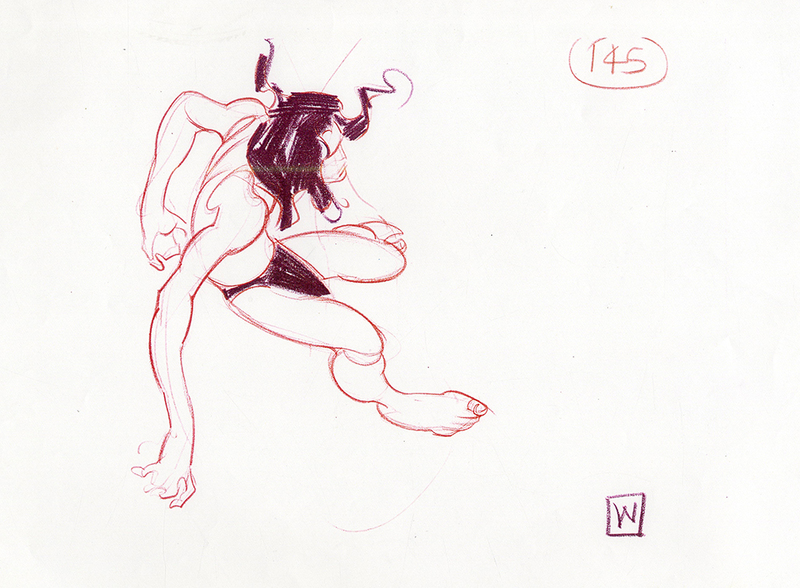 Have a look on the website http://www.johnwatkissfineart.com or do a search for John Watkiss on the website of Hans Bacher, for more information about John Watkiss.